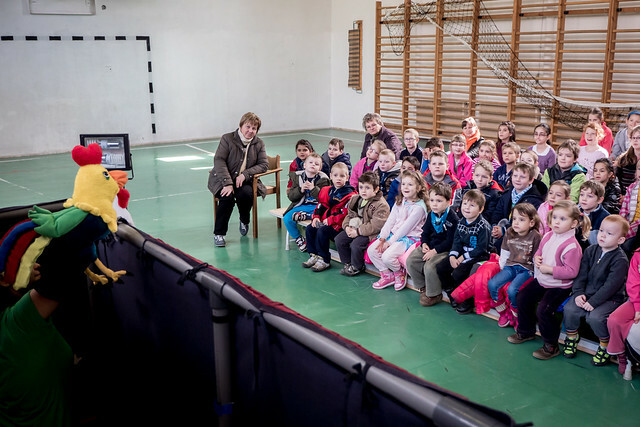 We have a good relationship with the headmaster, József, of this school. 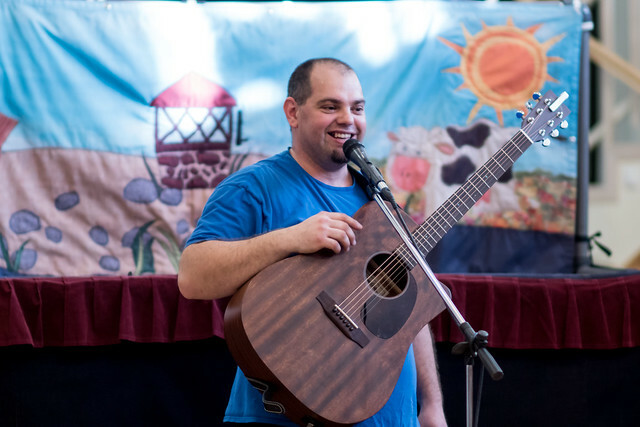 Unfortunately, he shared news that he was battling cancer and has been going through chemo. 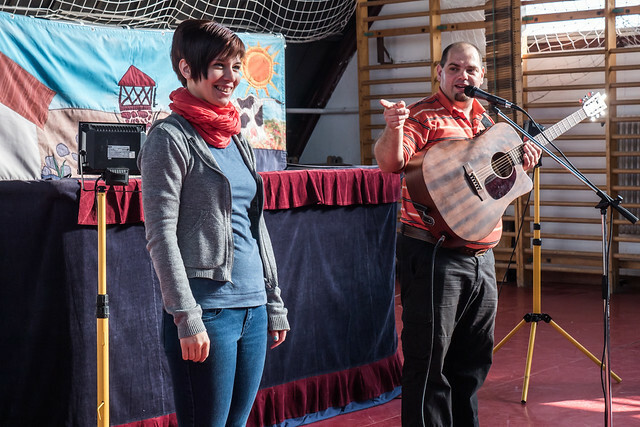 József and I went into the teachers’ lounge after the show and he allowed me to share a bit about Jesus and also allowed me to pray for healing in His name. 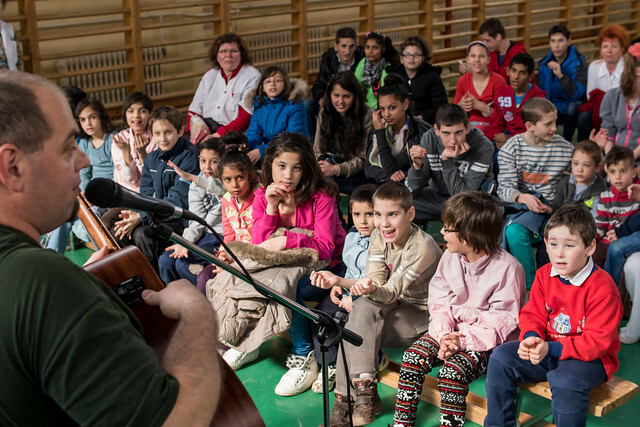 Above: The kids love ‘uncle’ Miki. 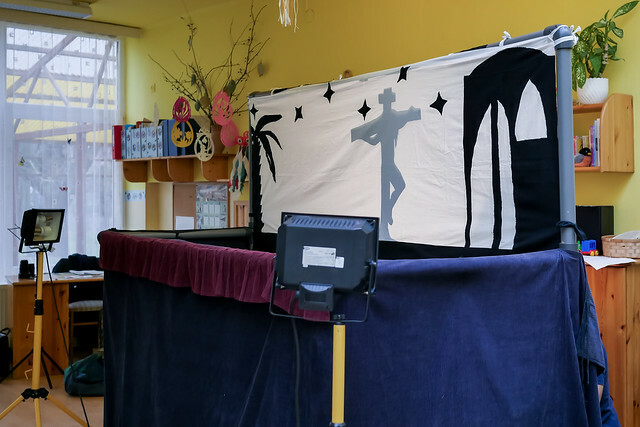 Since we visit these schools twice a year, they remember our names and are already shouting, “There’s ‘uncle’ Miki” when we enter and begin setting up the stage. 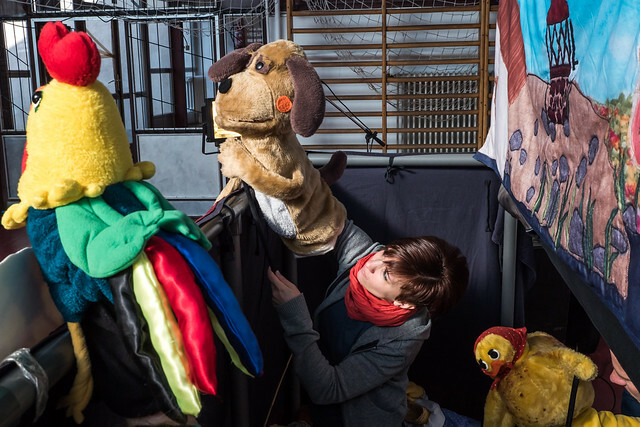 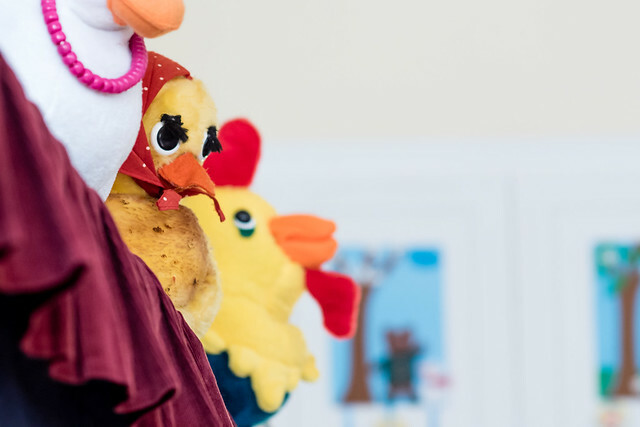 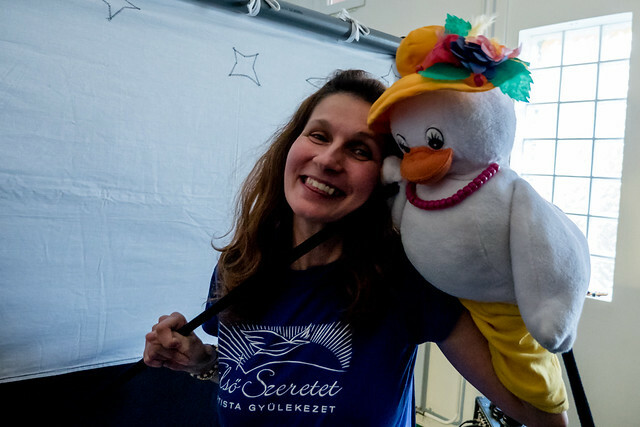 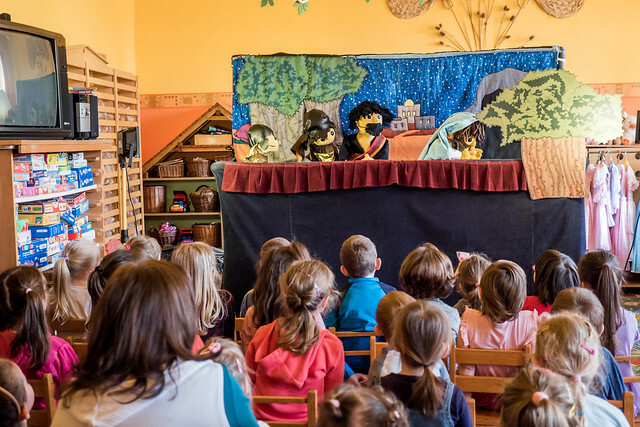 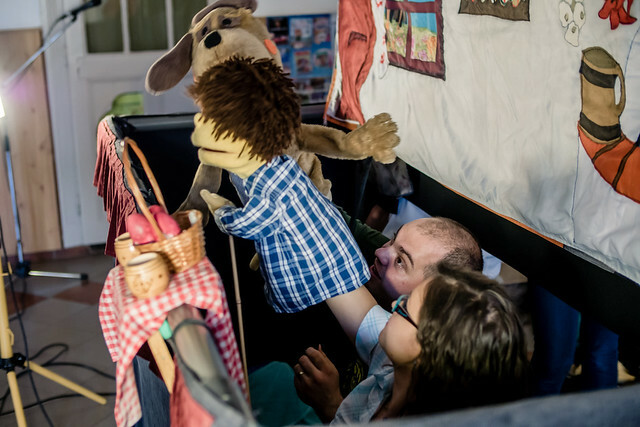 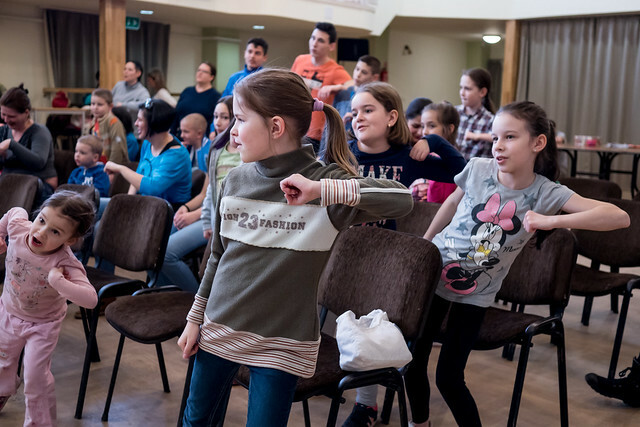 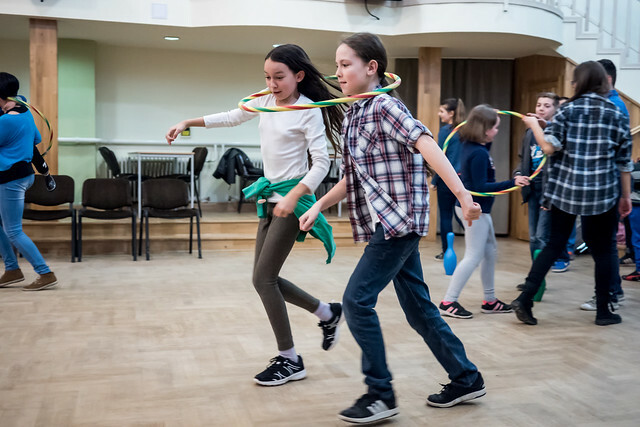 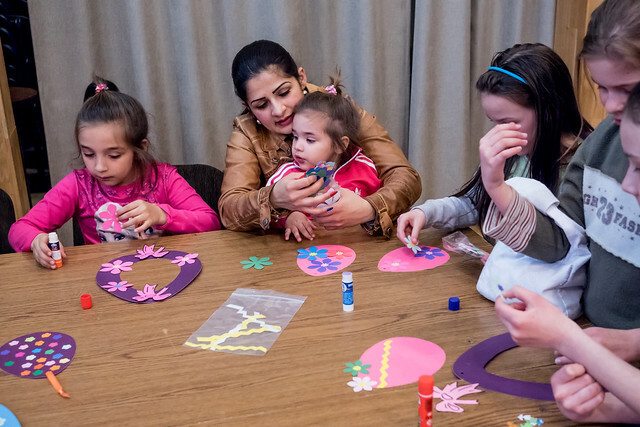 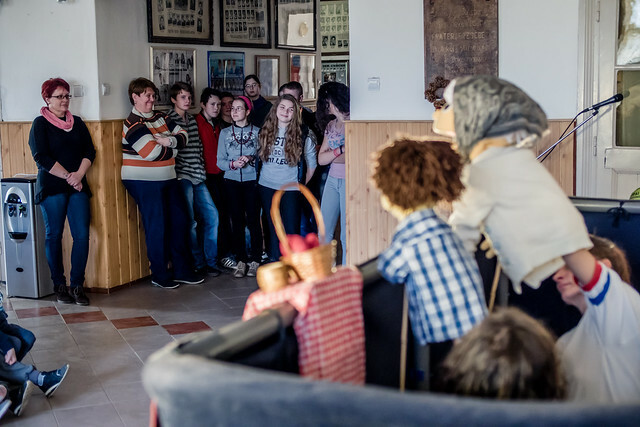 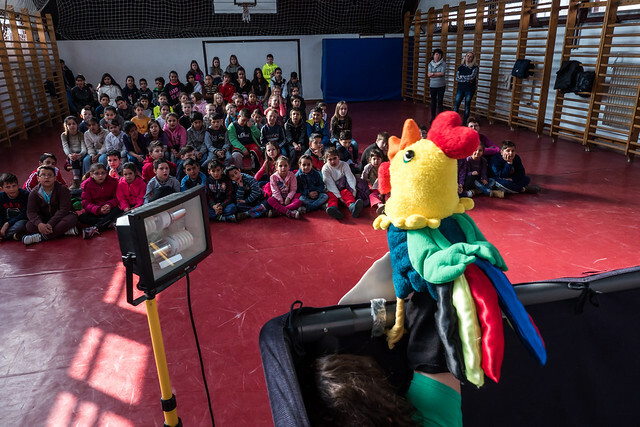 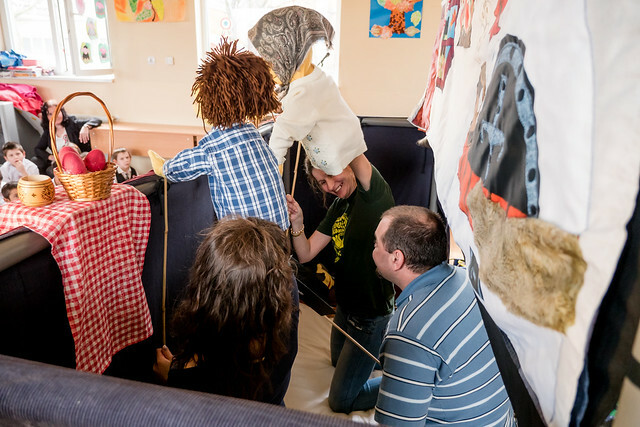 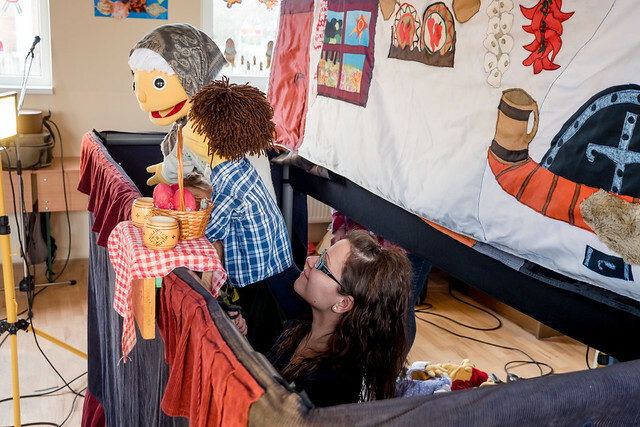 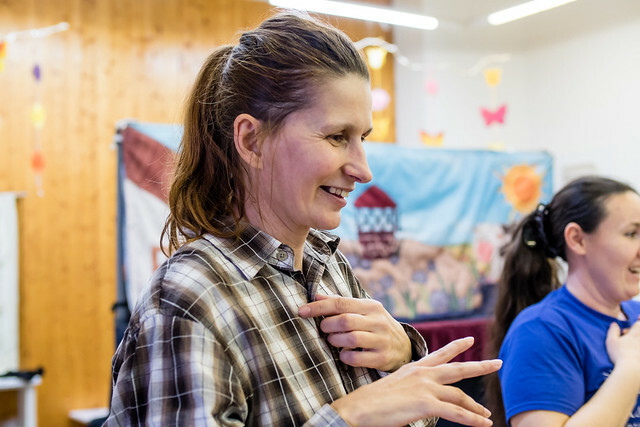 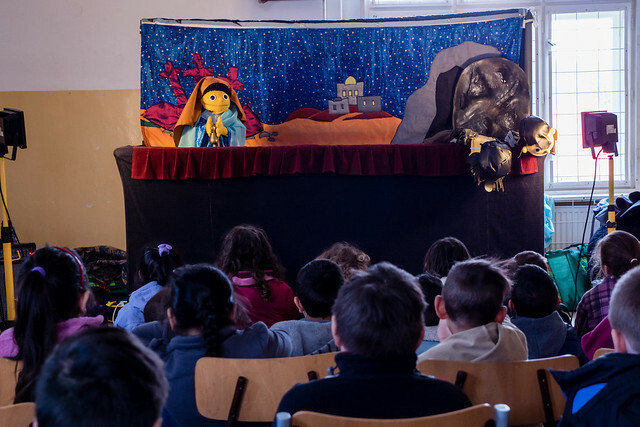 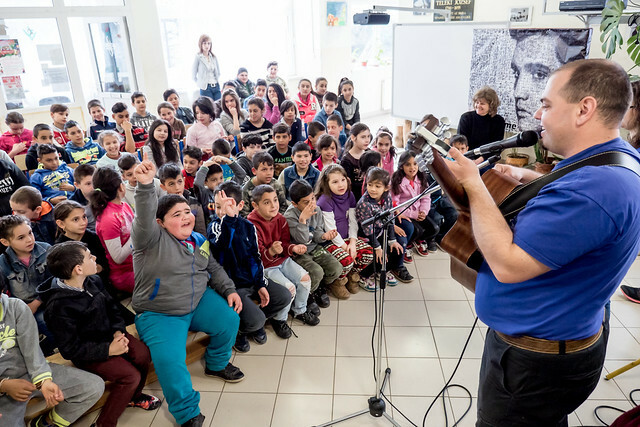 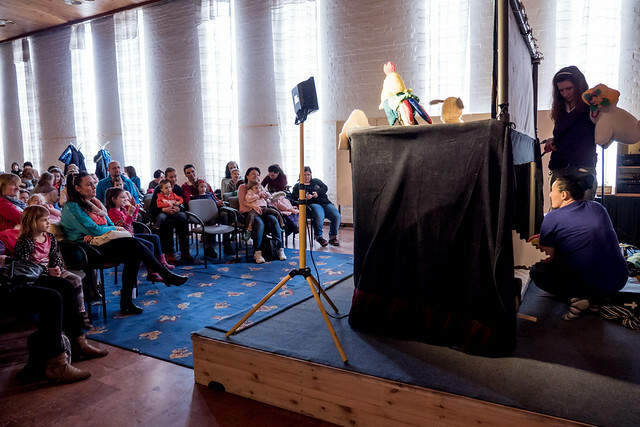 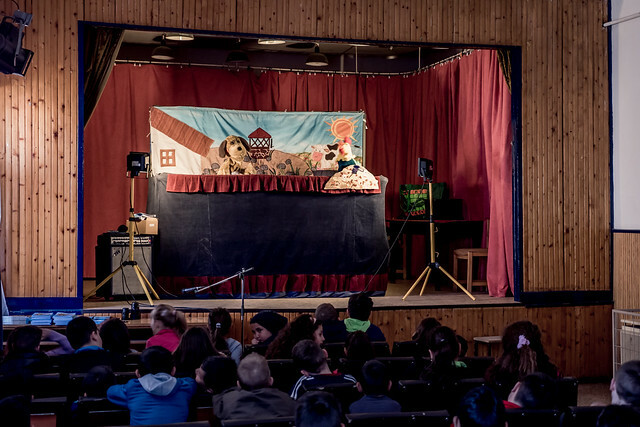 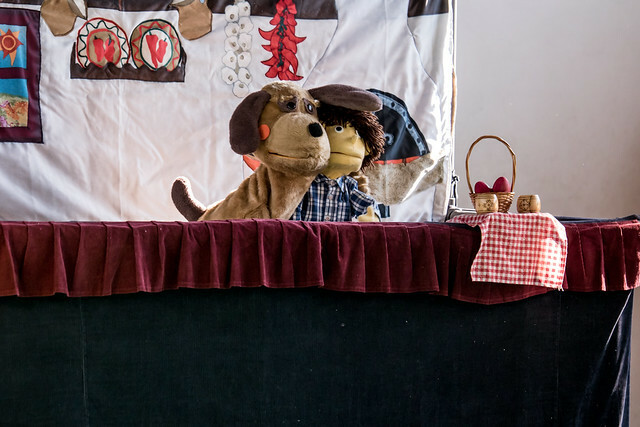 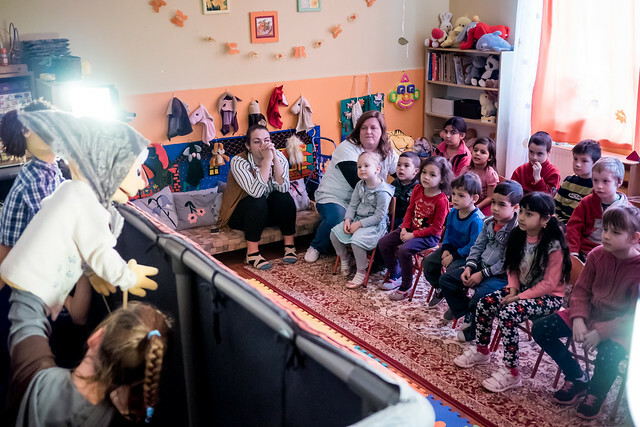 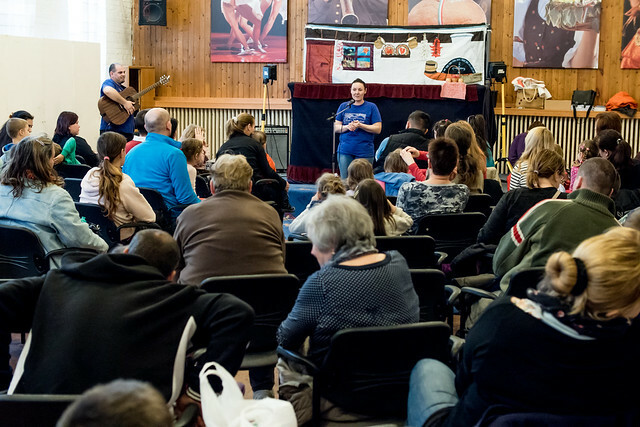 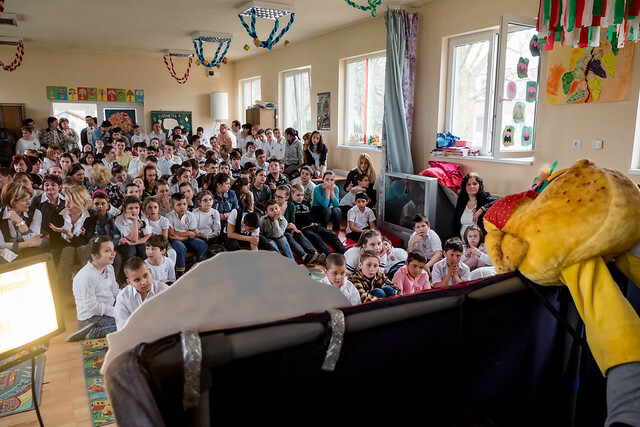 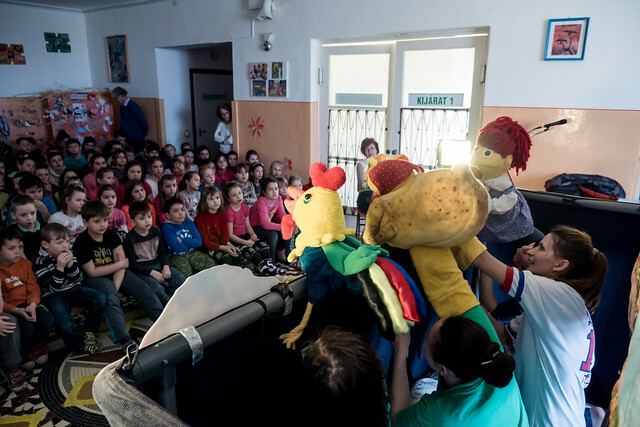 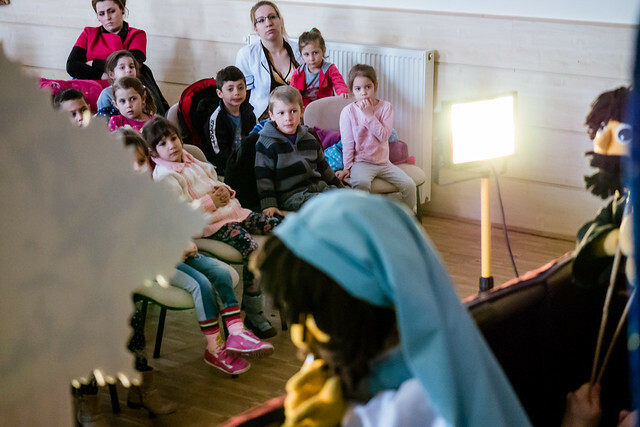 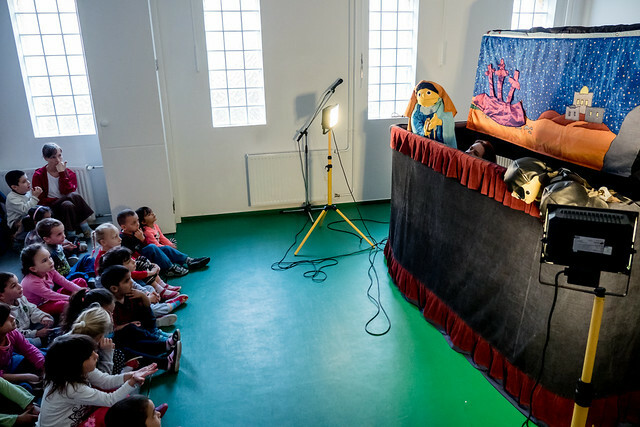 We finished this year’s Easter Puppet Outreach in the town of Jászfényszaru and combined it with a children’s outreach in the local community center. 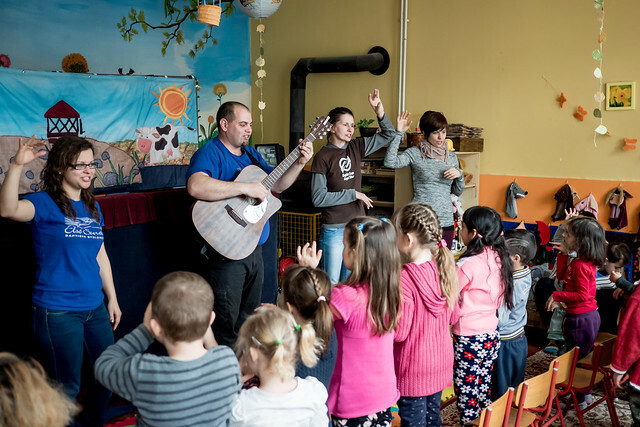 God has opened up doors in this community with an English Club, Bible classes in the elementary school and worship service every other week. 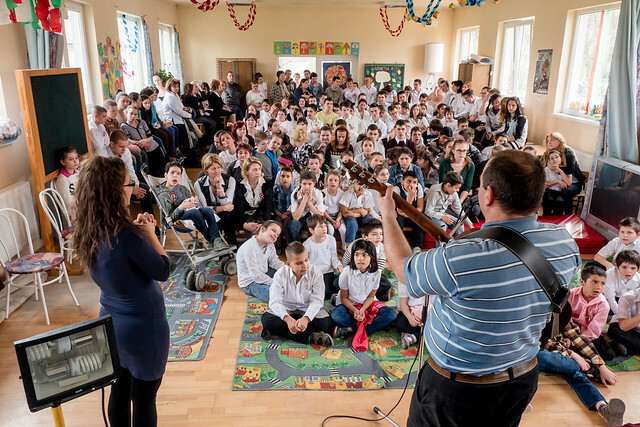 We were thankful to see students from our English class come with their children and parents that were invited by those who are attending worship service. 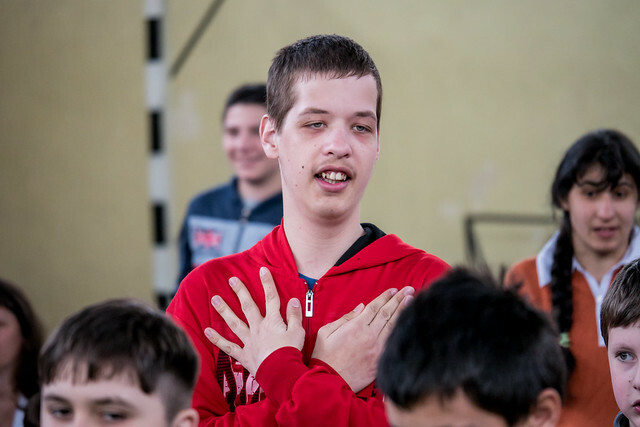 Above: I was able to meet Edit who lives in Jászfényszaru. 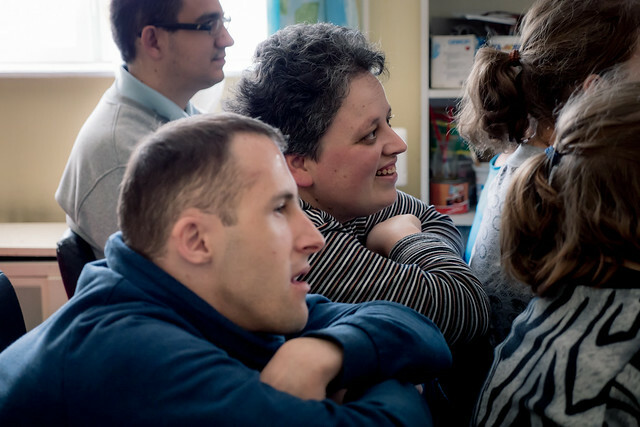 Edit shared with me her longtime struggle with epilepsy and allowed me to pray for her in Jesus’ name. 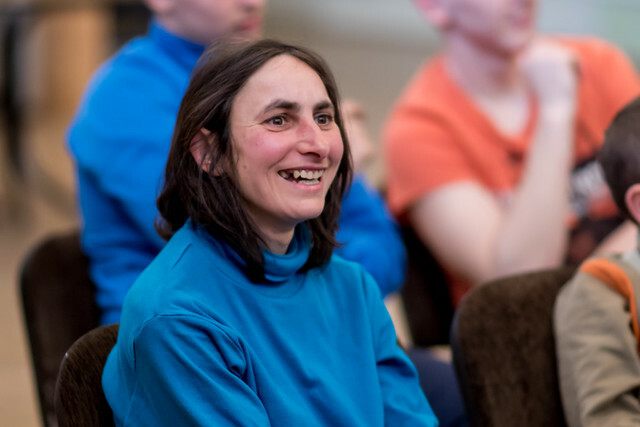 She is interested in attending worship service and we hope to see her again. 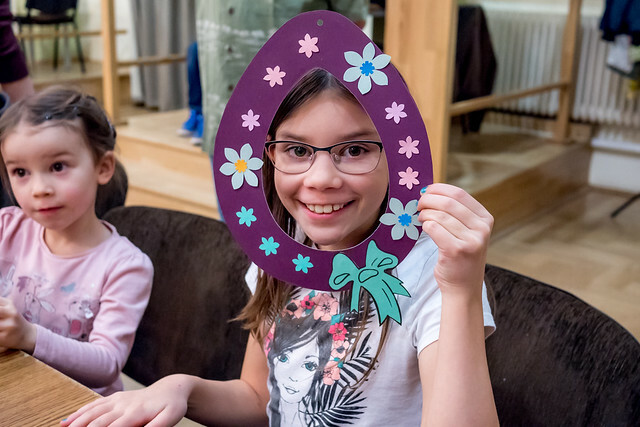 Above: Miki and Erika’s youngest daughter enjoying her time in Jászfényszaru. 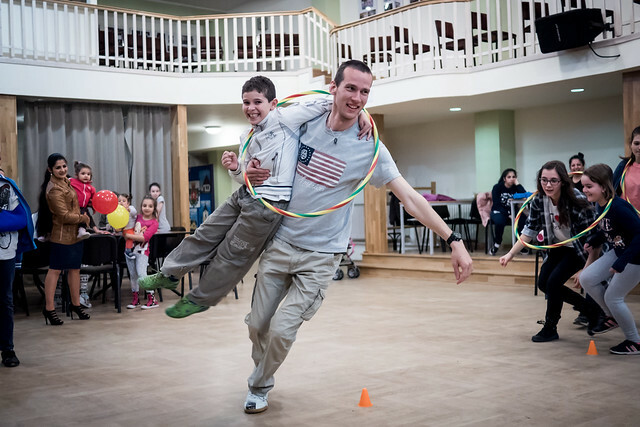 As you can see the kids had a great time and God used this event to help us develop new relationships in the community. 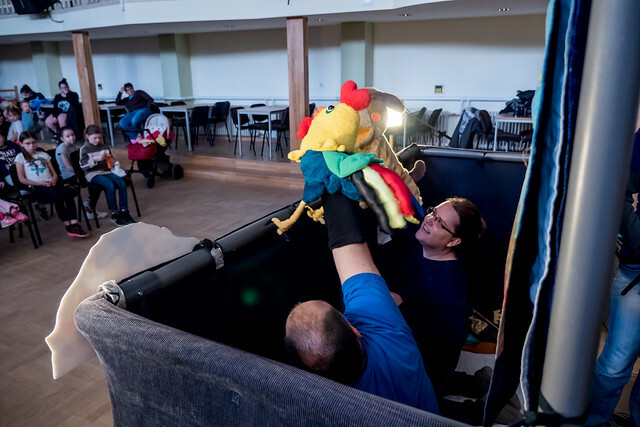 Praise God for His provision of using the community center free of charge and for many from our church community using their giftings to serve. 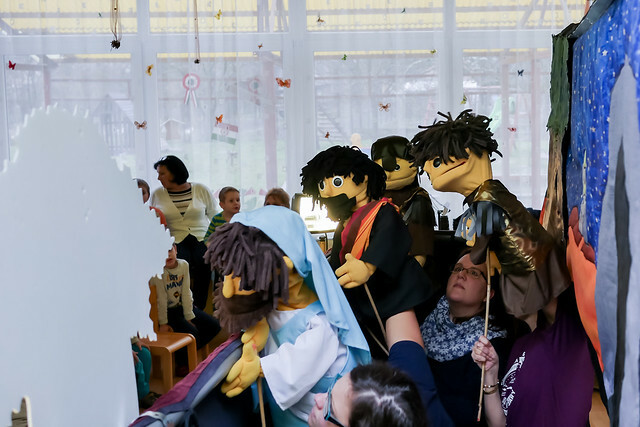 Thank you for your faithful prayers throughout this puppet season! 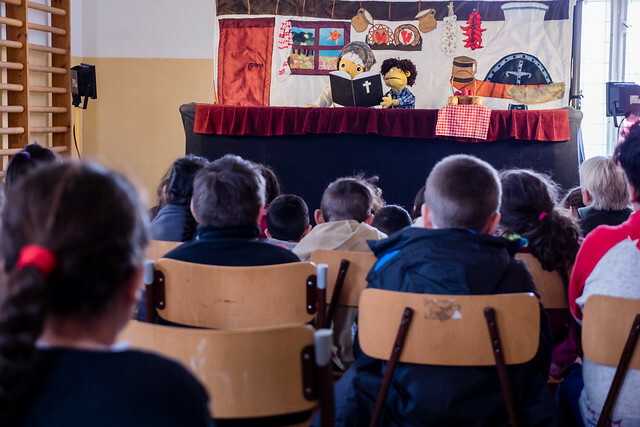 We distributed 1,800 evangelistic gift packets to children and also gave teachers evangelistic material in each school. 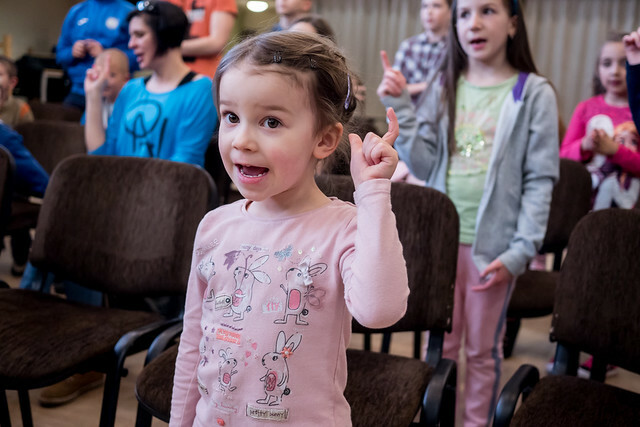 The good news has been proclaimed in a way that the children can begin grasping the wonders of God’s love and grace. 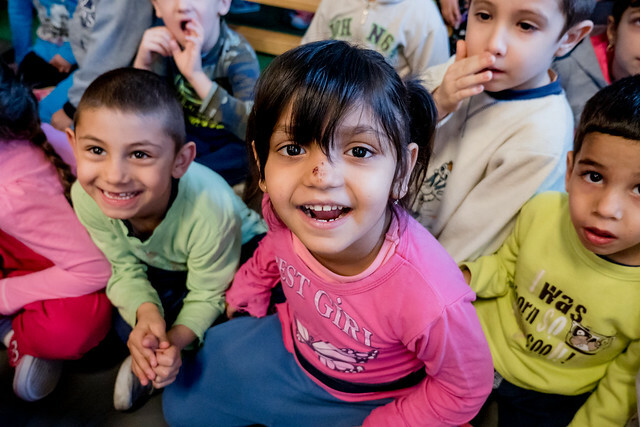 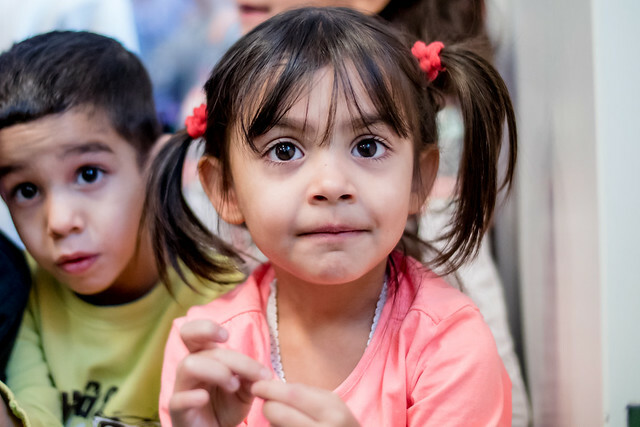 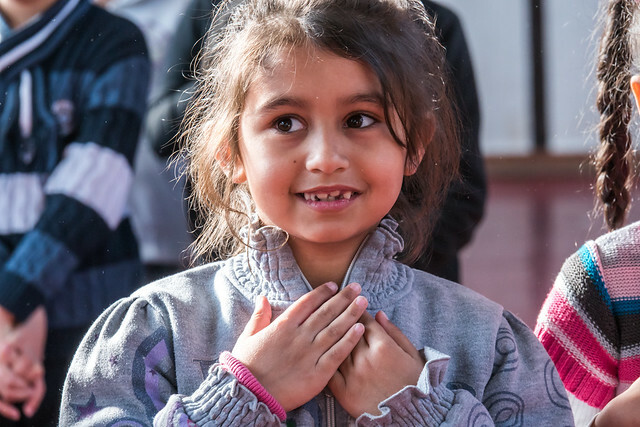 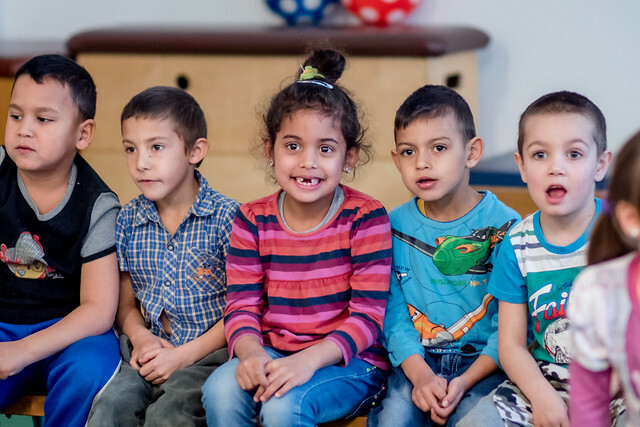 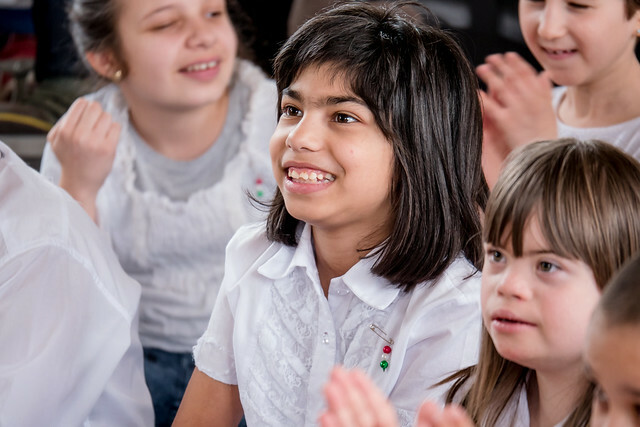 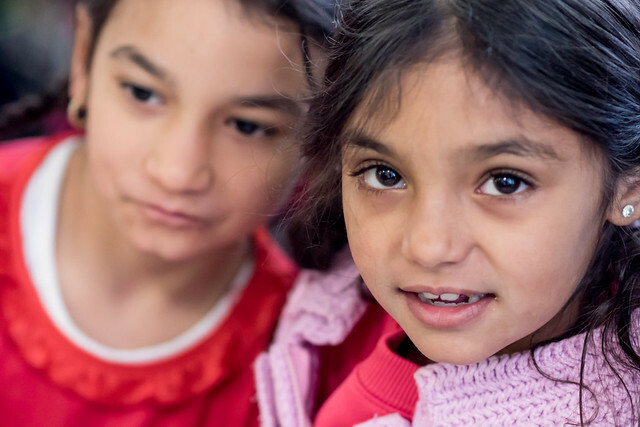 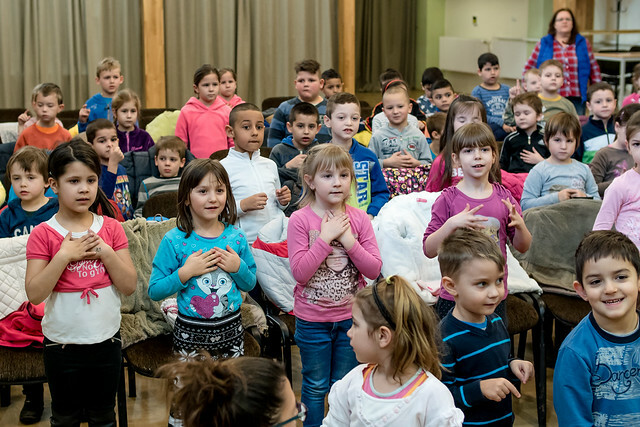 Praise God for continuing to keep this door open in Hungary and for drawing a new generation of Hungarian children to Himself. 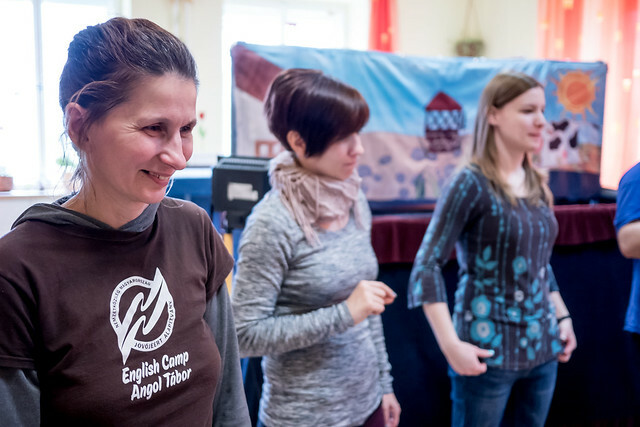 Above: When we first arrived in Ecseg, the person in the local community center had no idea we were coming. 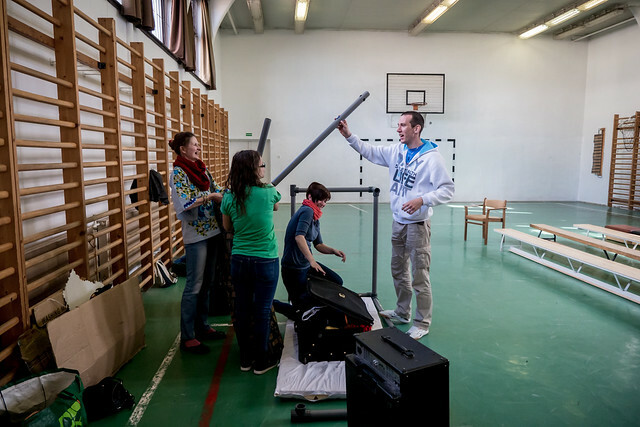 After a few phone calls, we were able to work everything out with the school principal even though the teacher who initially spoke to our team forgot to pass on the message to the school. 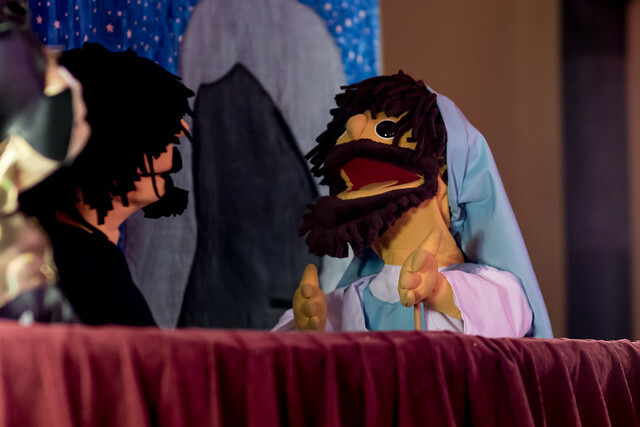 Praise God we were still able to hold the show. 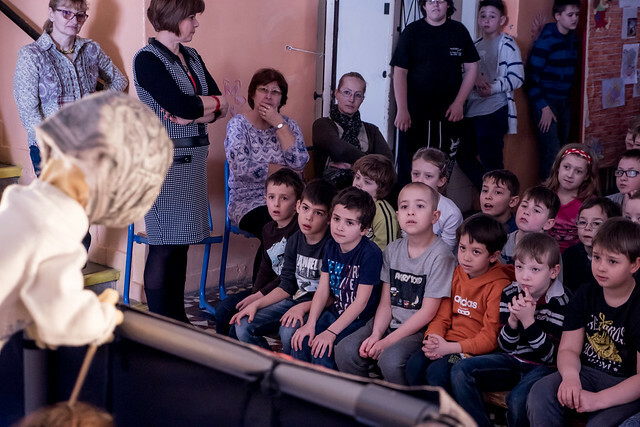 Above: With this many kids watching, we’ve had problems in the past with constant chatter and noise throughout the show. 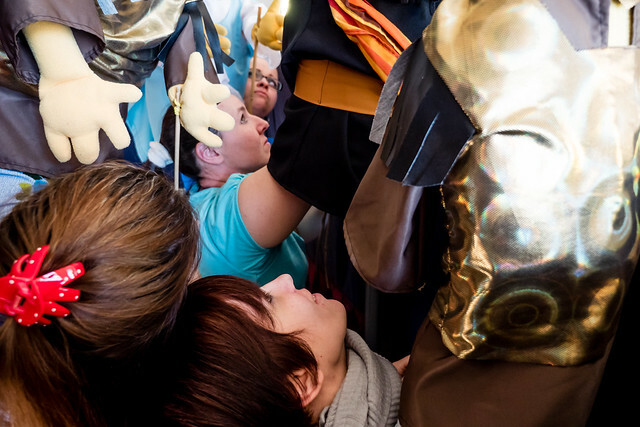 But this wasn’t the case here. 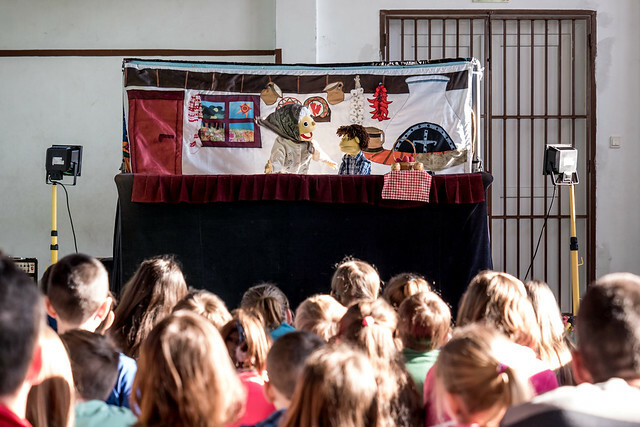 All the kids from the youngest to the older middle school children were engaged with both the singing and the puppet show. 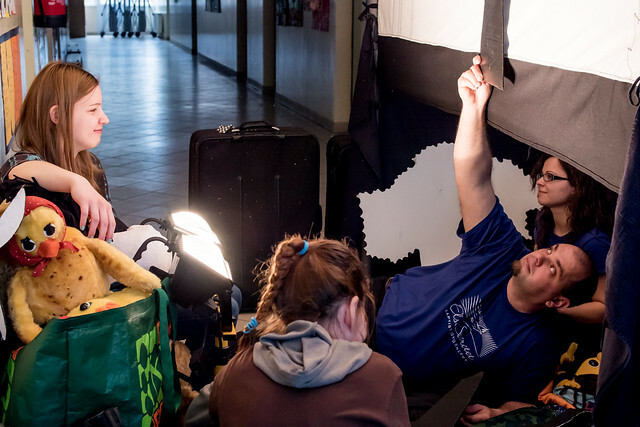 Above: Behind the scenes, getting everything set up and ready to go. 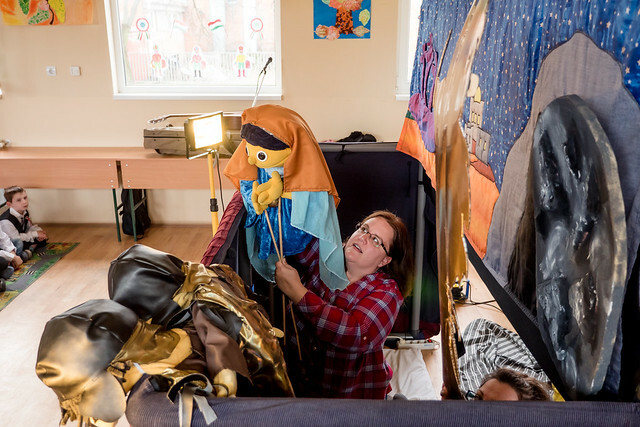 Above: Things getting a bit tight for one of the scenes with four puppets up at once. 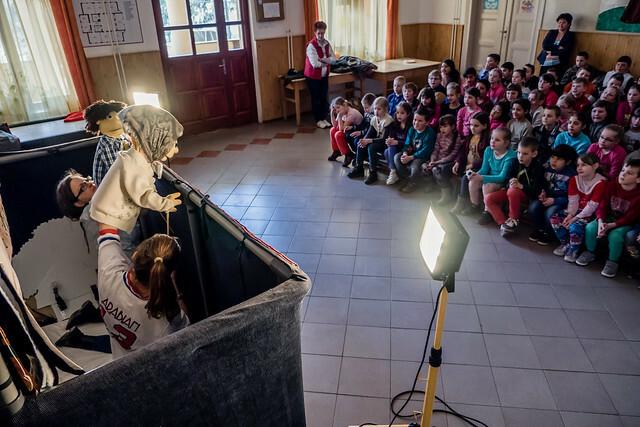 Above: Our first show out of three today in the town of Héhalom. 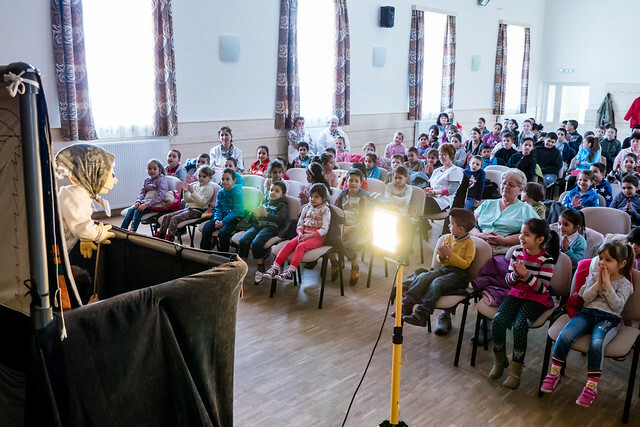 The kids had a great time singing and watching the show. 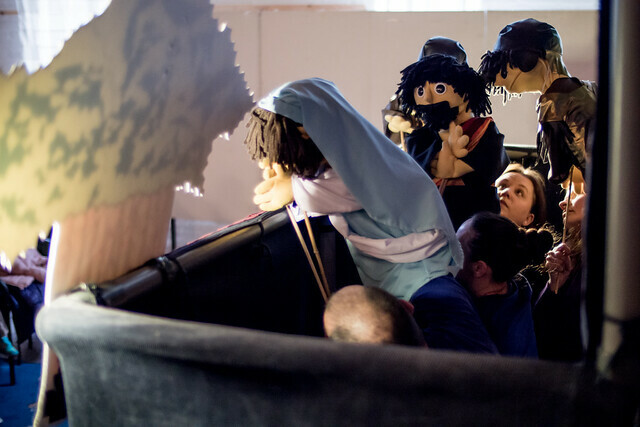 Above: Miki navigating the pile of puppets getting ready for the next transition. 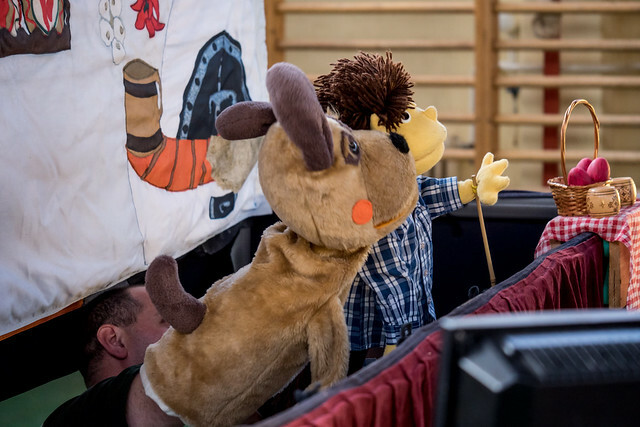 Above: Thank you for those who prayed for new team members joining us this week as puppeteers. 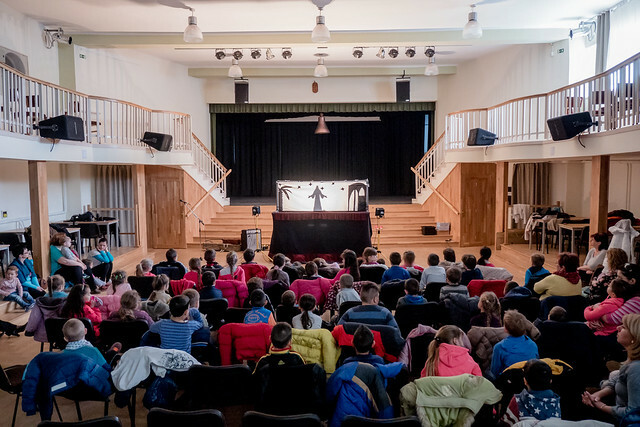 We’ve found that because of the number of shows we do and varying work schedules, it is better to split the days among two teams. 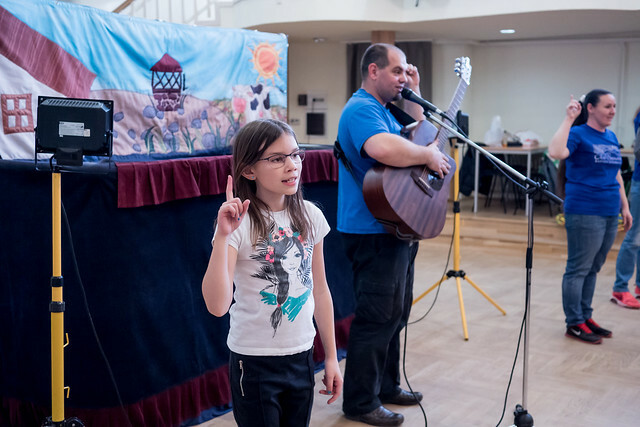 Zita did a great job today! 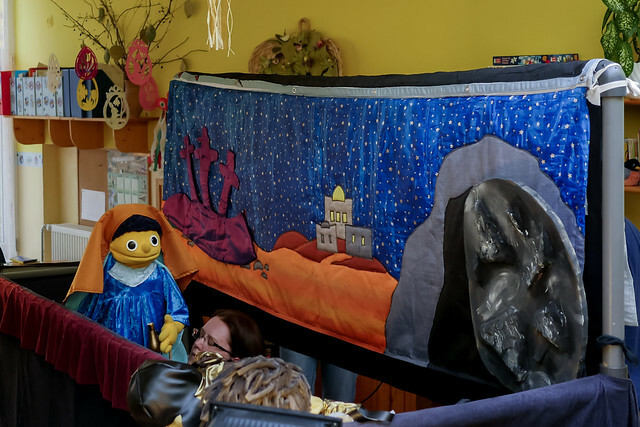 Above: Grandmother reading the Easter story from the Bible just before we transition to displaying it with puppets. 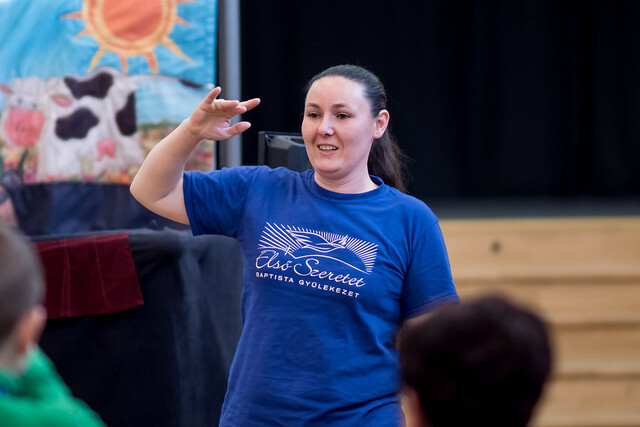 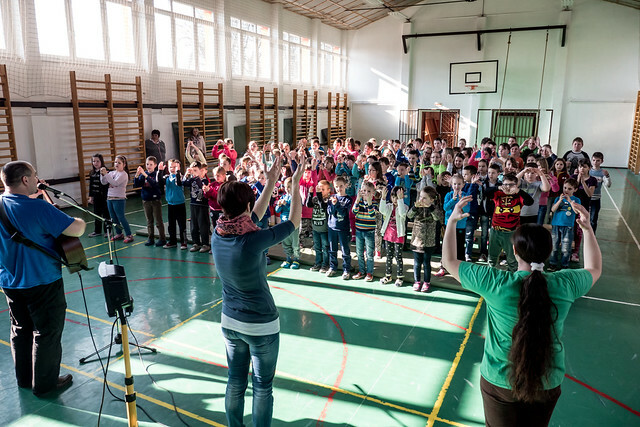 Above: So great to see teachers joining in singing with us. 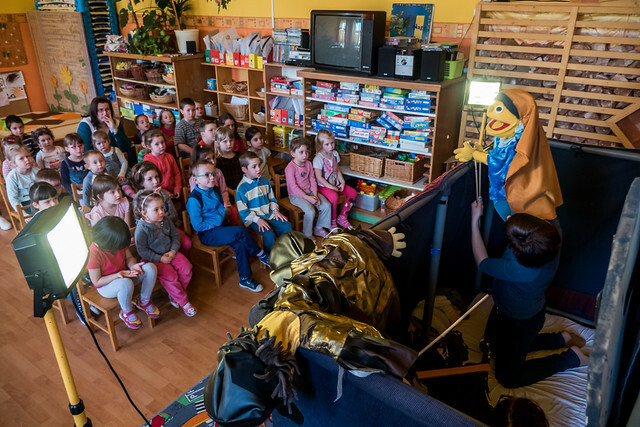 Above: As I mentioned previously, in some instances the smallest of kids can be afraid of the show because they haven’t been in preschool very long and they have never seen us before. 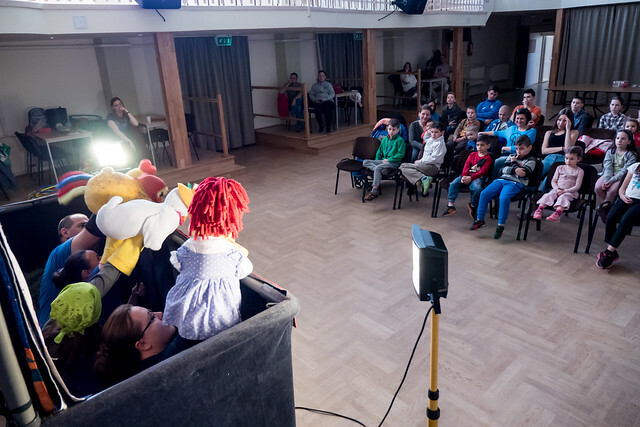 This child exited the room early and was very afraid of the show, but slowly worked his way back and watched from the halfway mark with no problems. 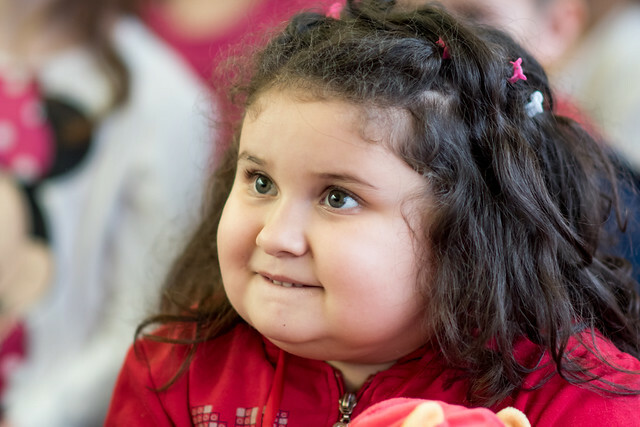 Thank you all for continuing to pray! 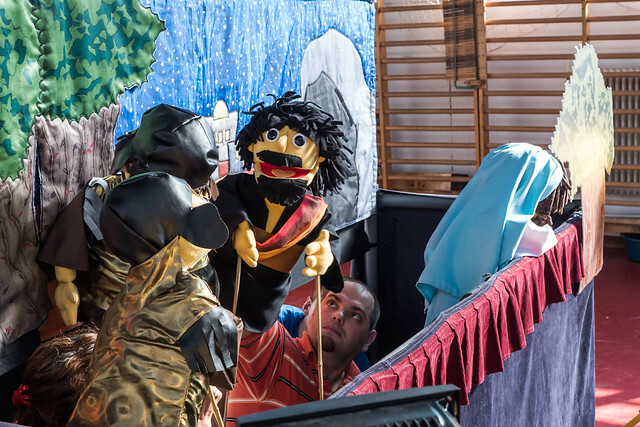 It was a great day and God gave us the strength we needed for three shows. 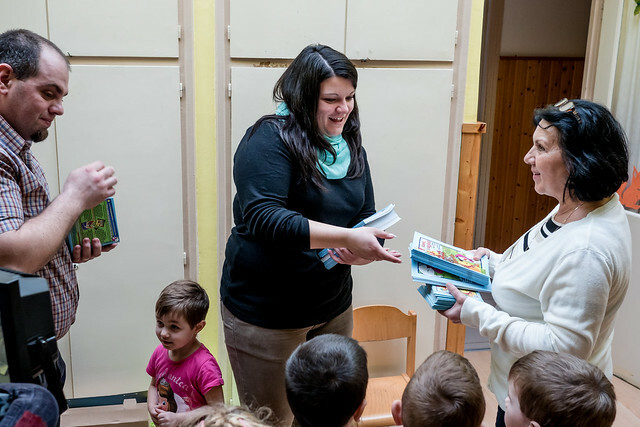 We continue to distribute evangelistic packets to kids and teachers in each school we visit and this is a great tool that allows them to hear the message even after we leave. 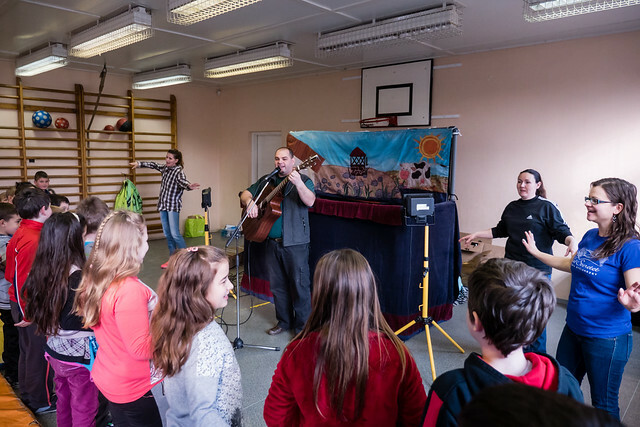 Praise God that all of the technical equipment has been working great and God has protected us as we travel and do a lot of heavy lifting. 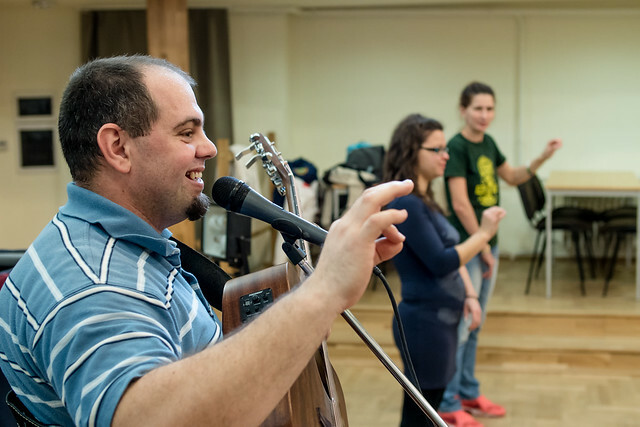 I ask specifically that you pray for the team and our families in this time as sickness is attacking many of us. 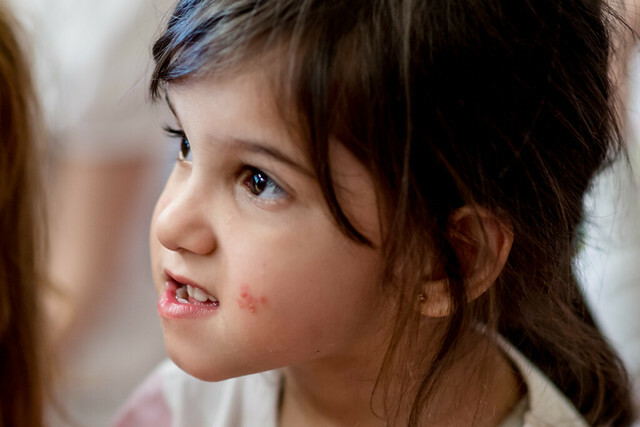 From mild cases of a stomach bug to Ziva recovering from pneumonia. 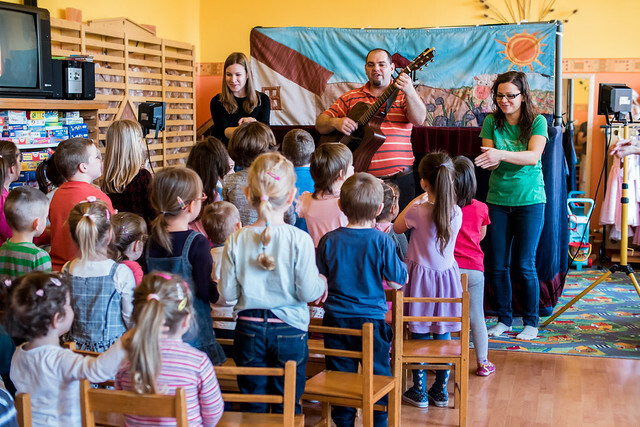 Pray specifically for Hugi and Zita to recover from a stomach bug. 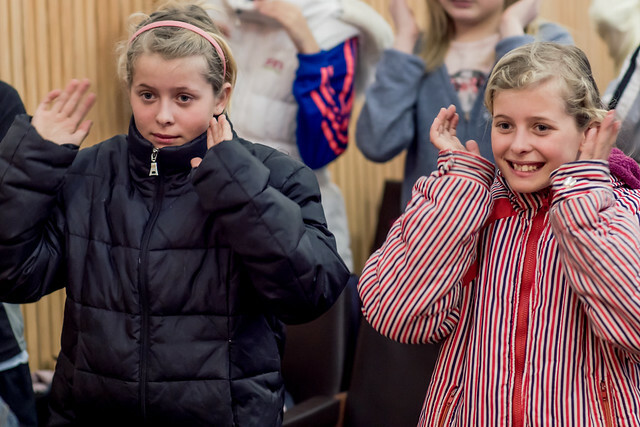 Pray for Eszti and Miki to recover from head colds. 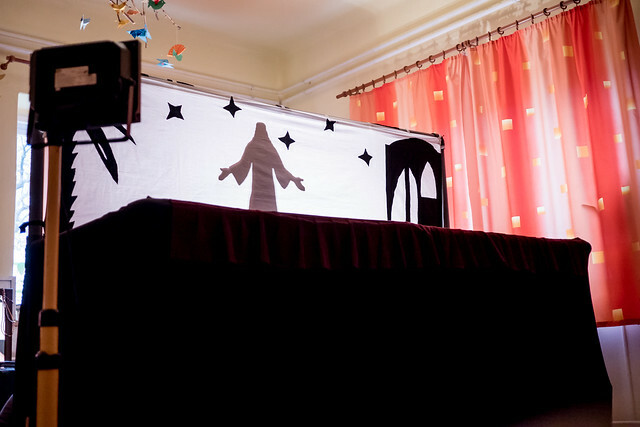 “He delivered us from such a deadly peril, and he will deliver us. 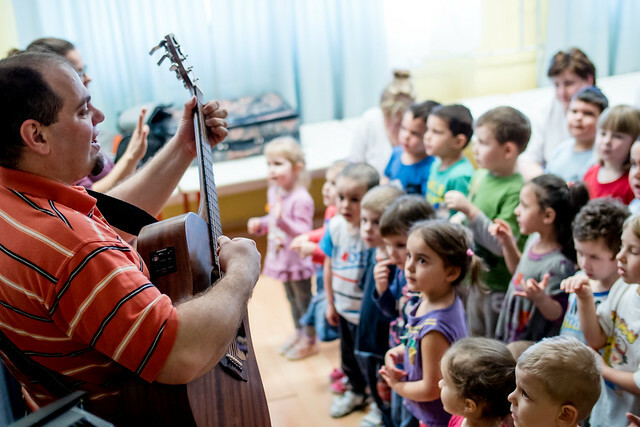 On him we have set our hope that he will deliver us again.” (1 Cor 1:10) Thank you all for lifting us up to our Deliverer! 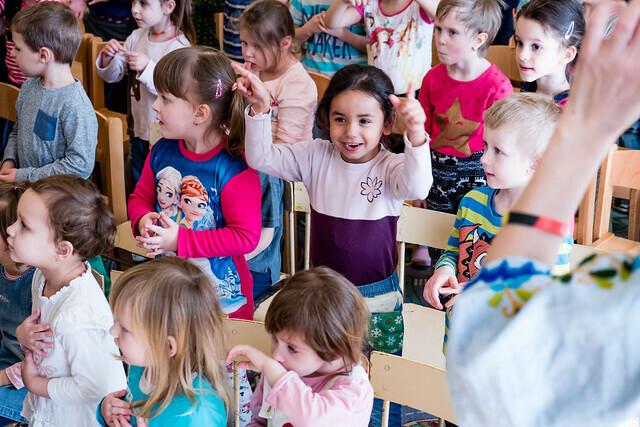 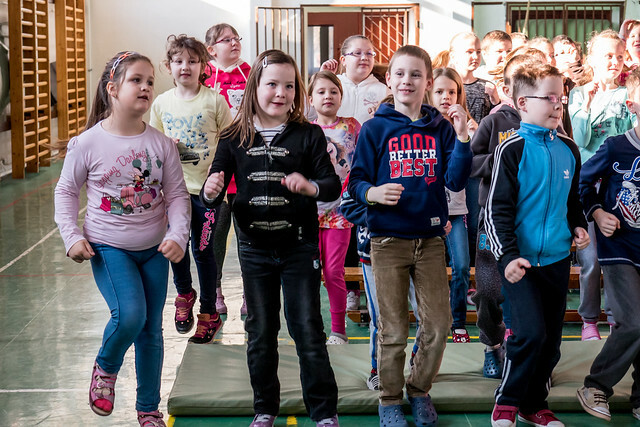 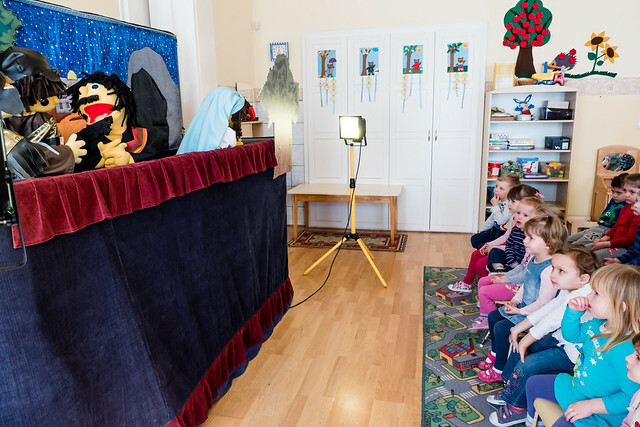 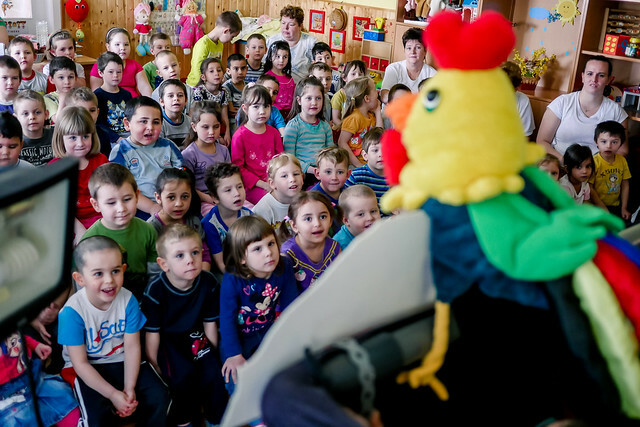 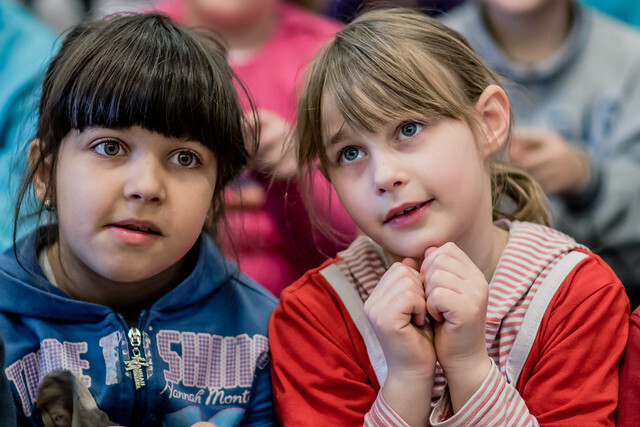 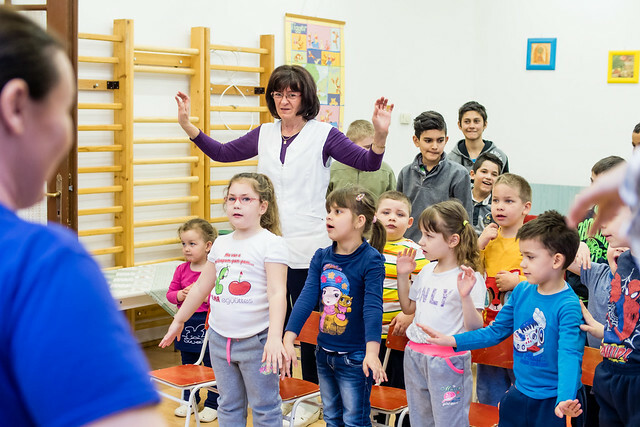 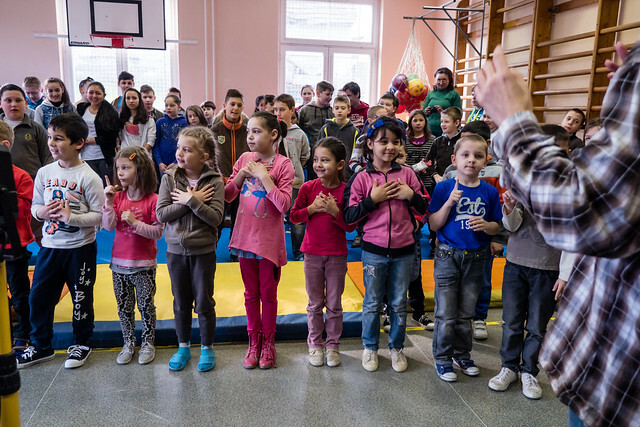 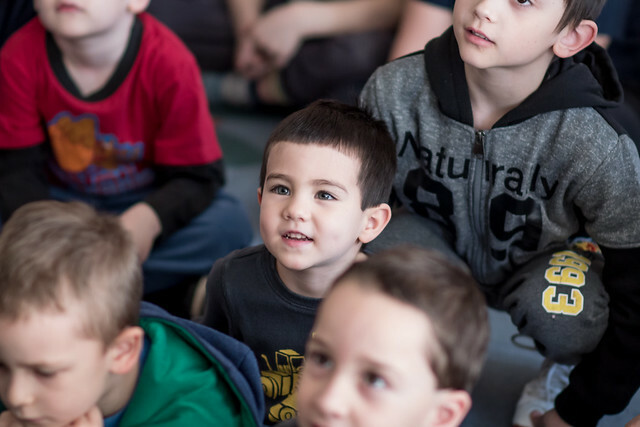 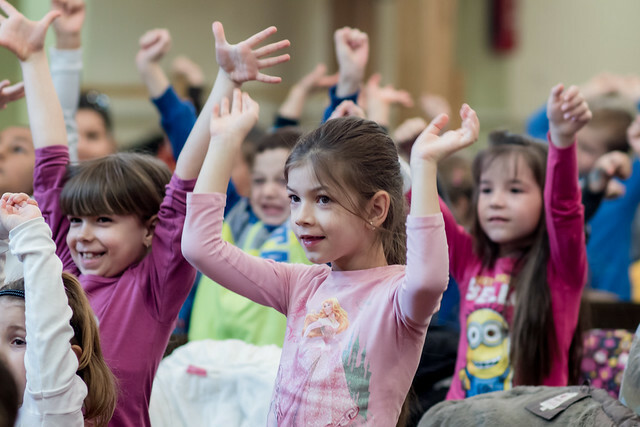 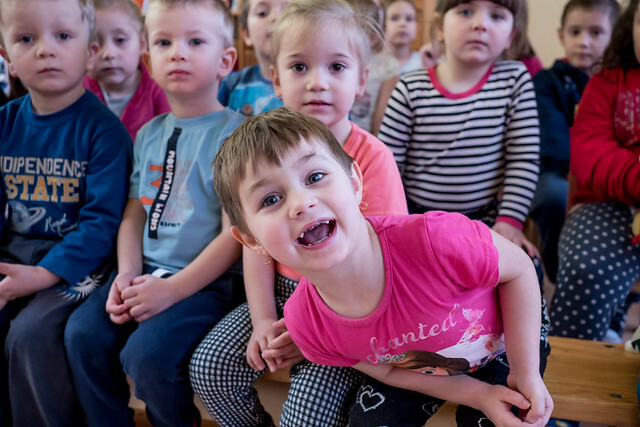 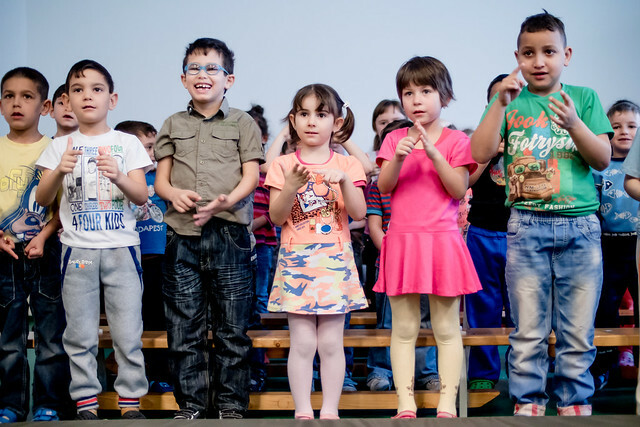 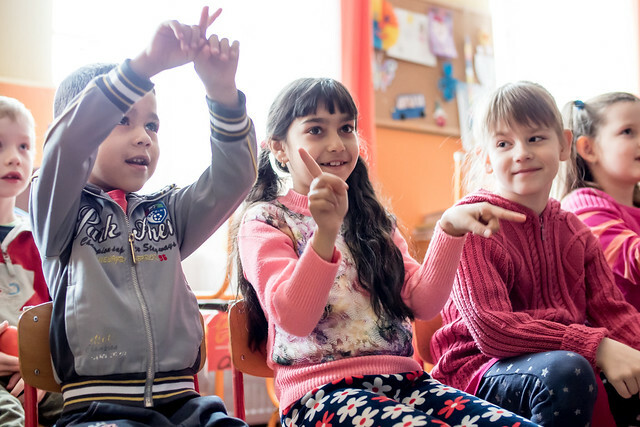 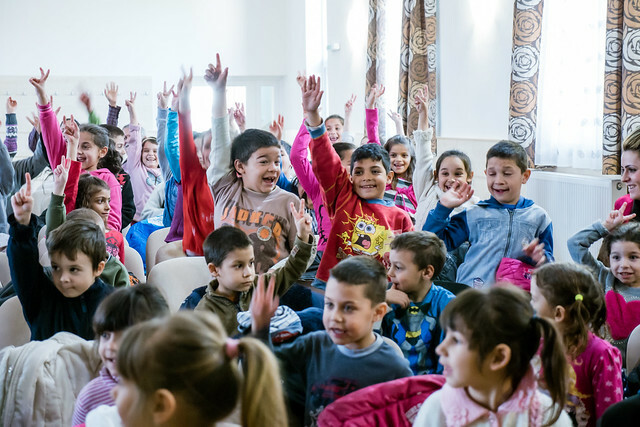 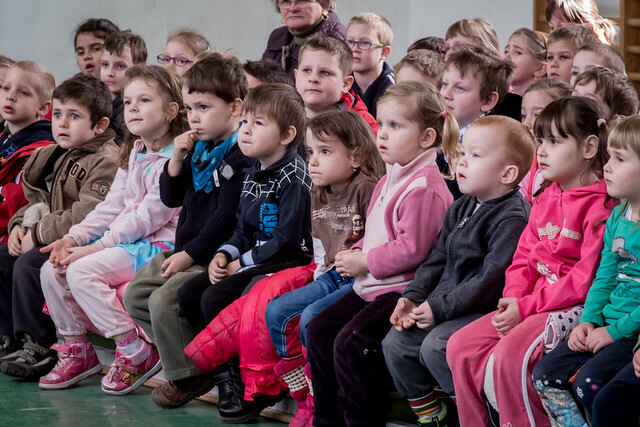 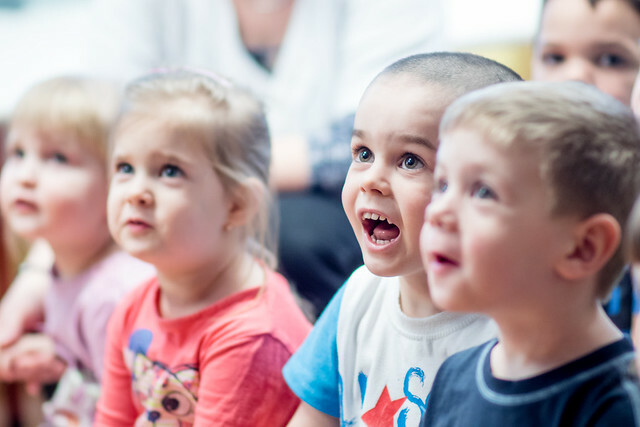 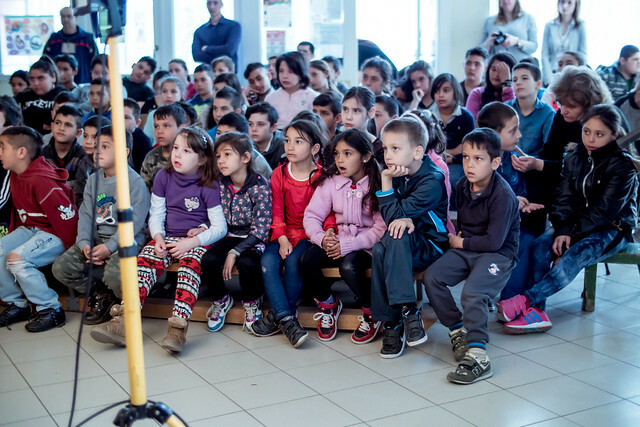 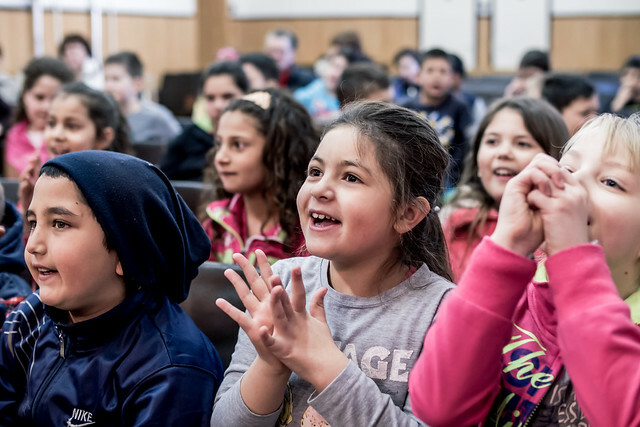 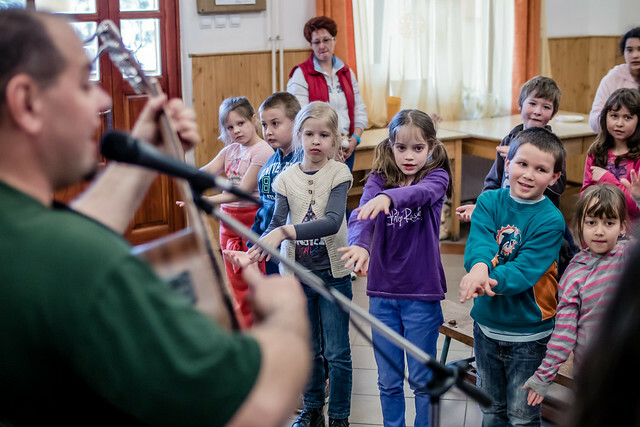 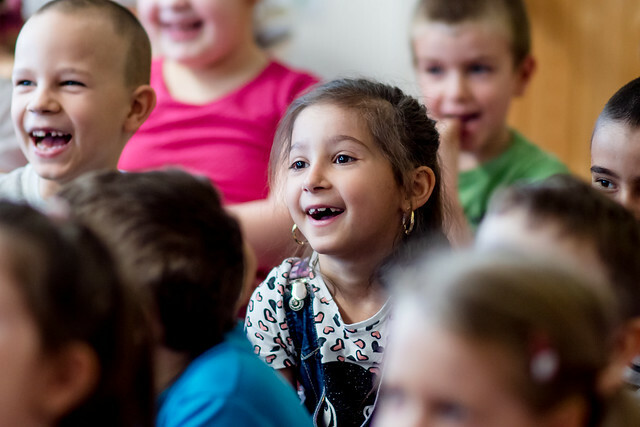 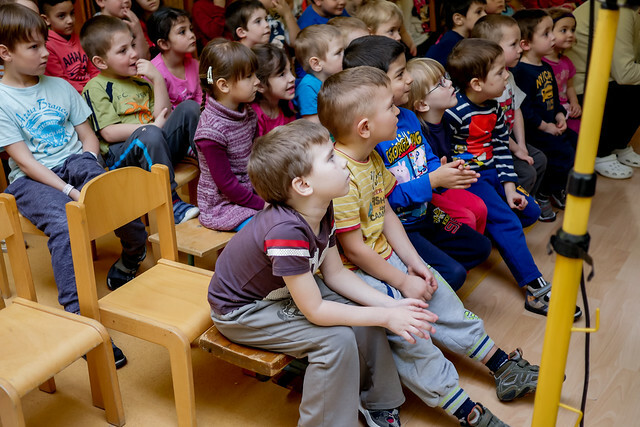 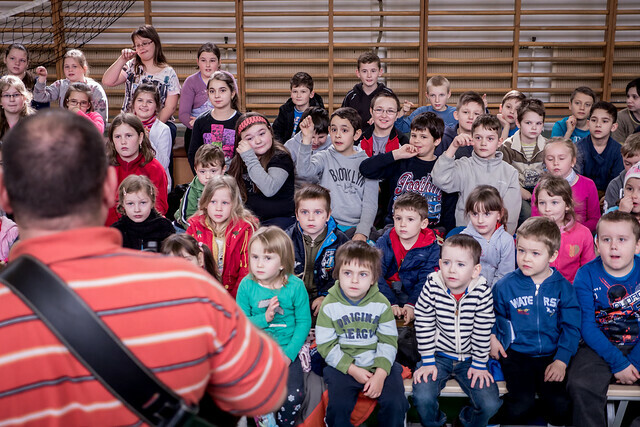 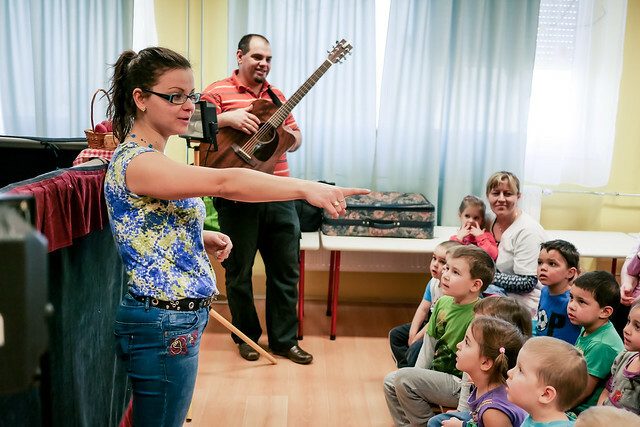 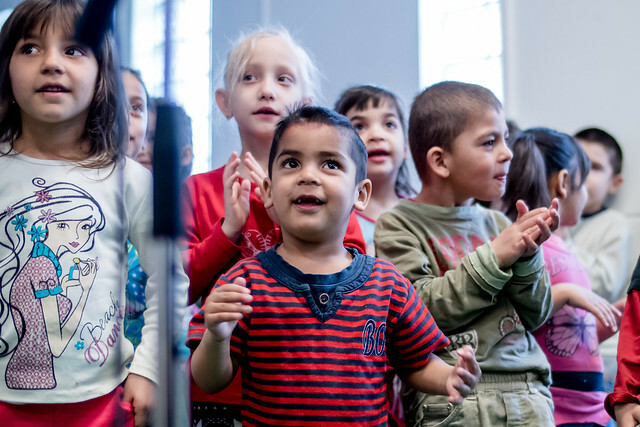 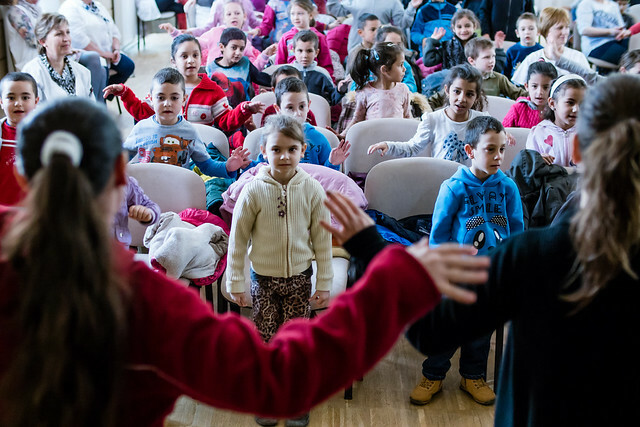 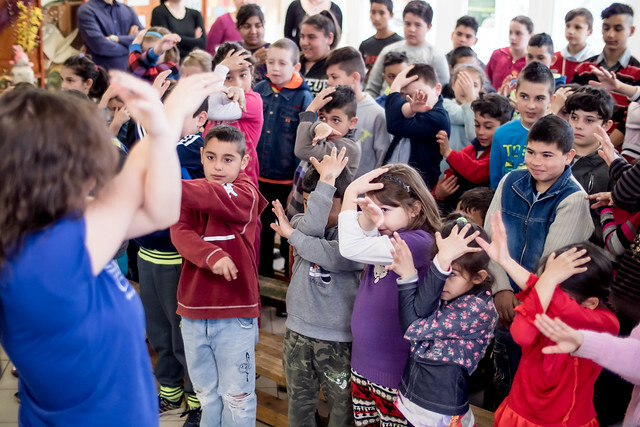 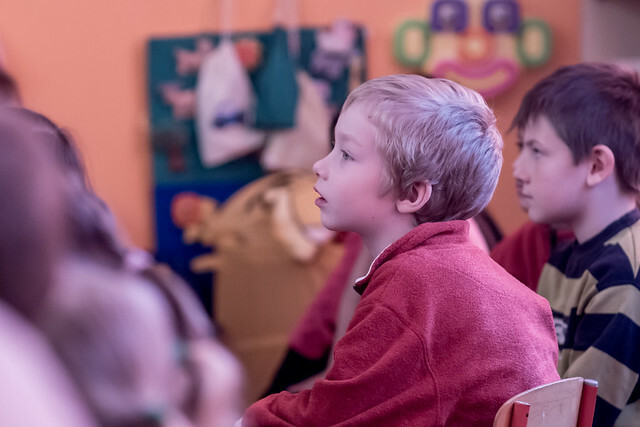 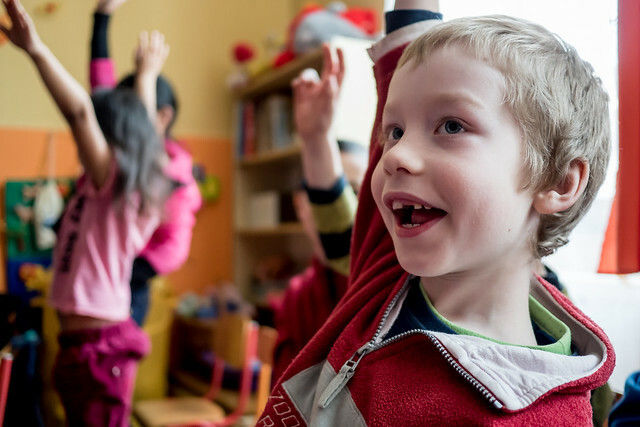 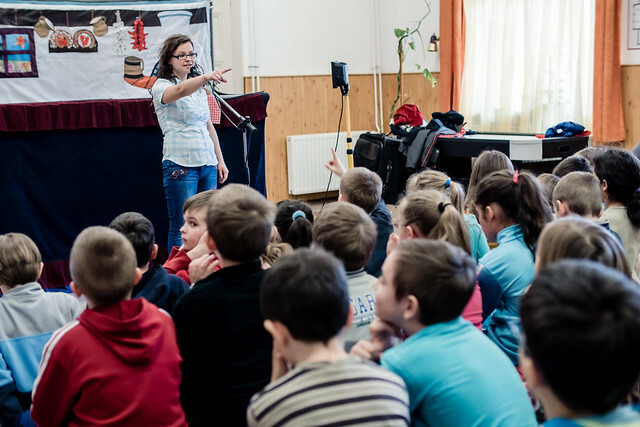 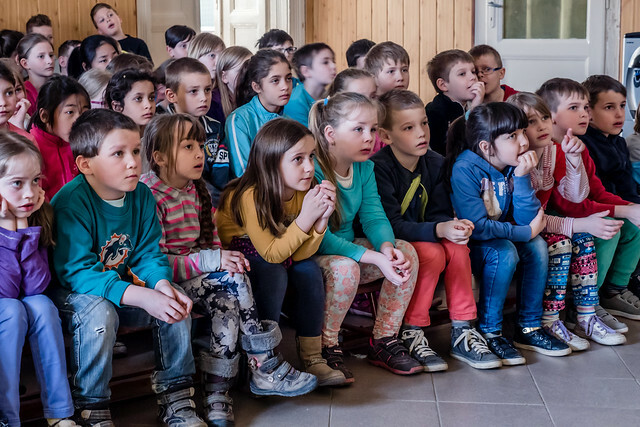 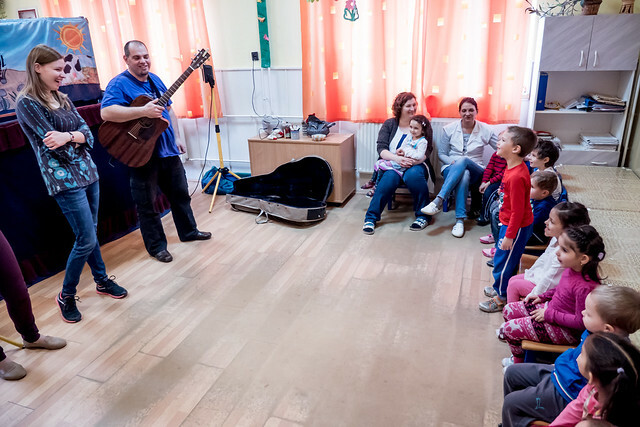 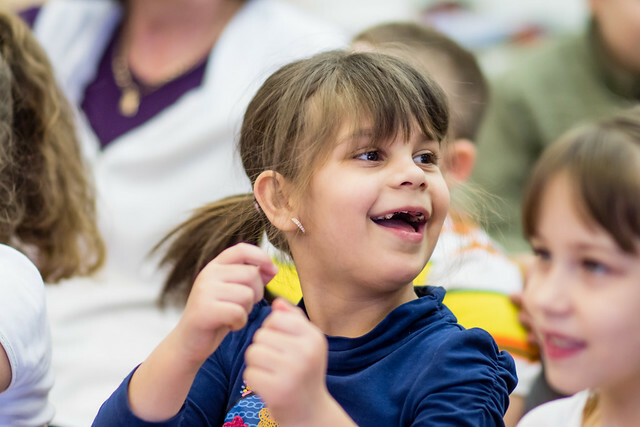 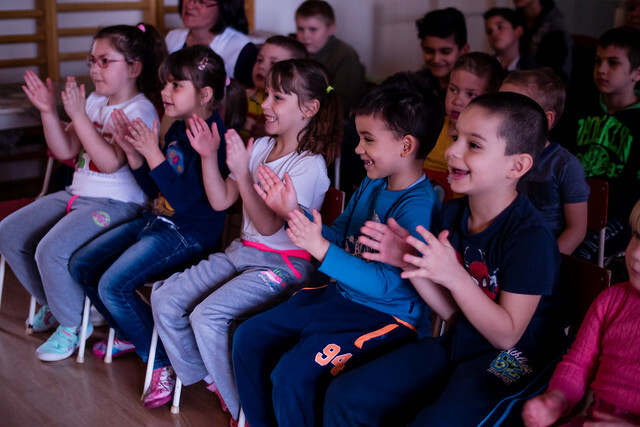 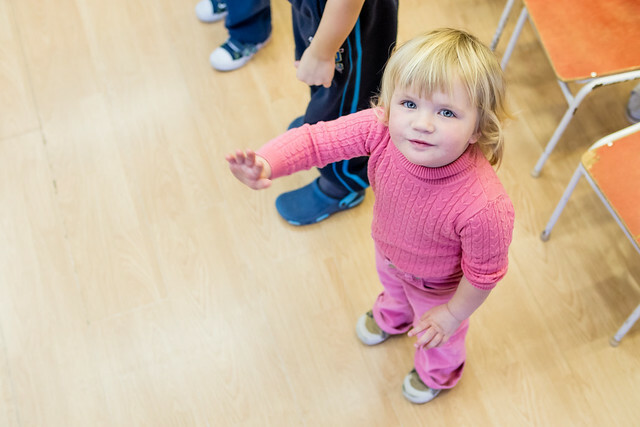 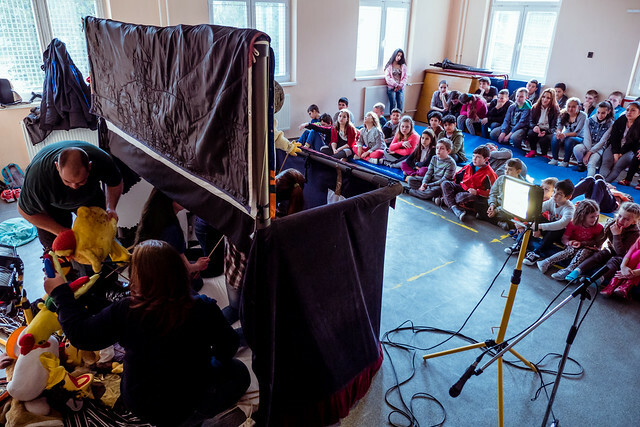 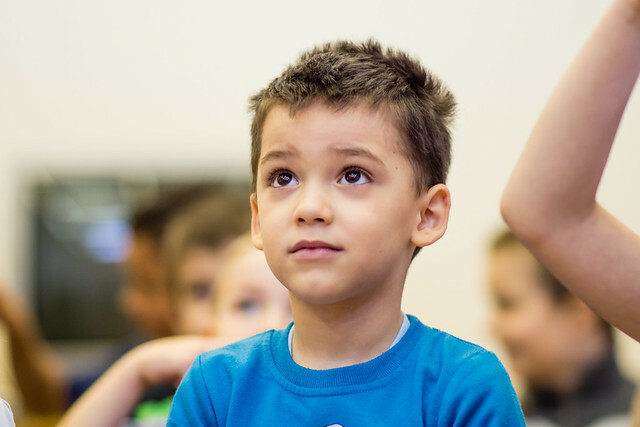 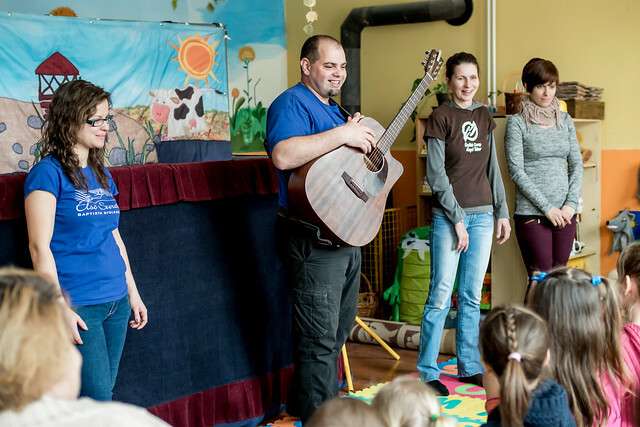 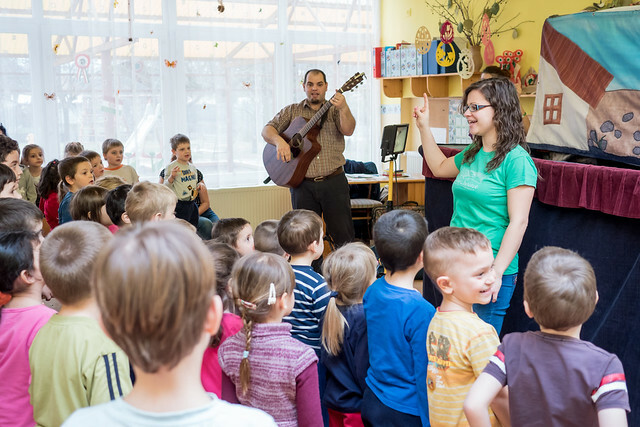 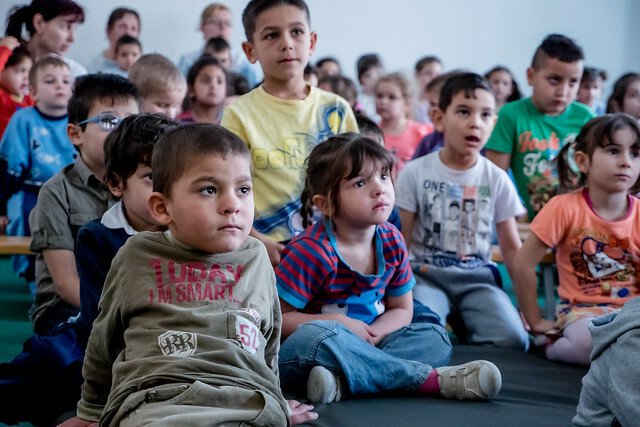 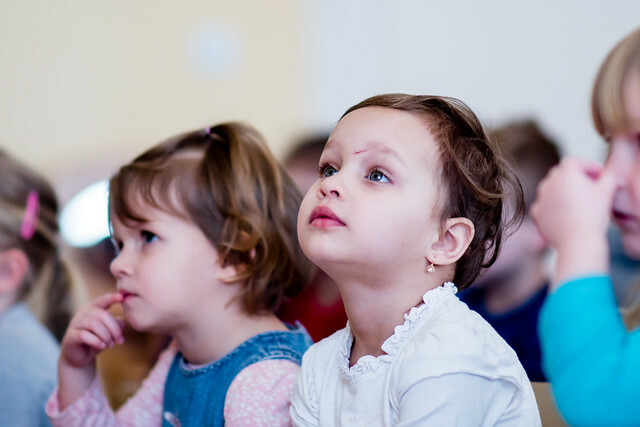 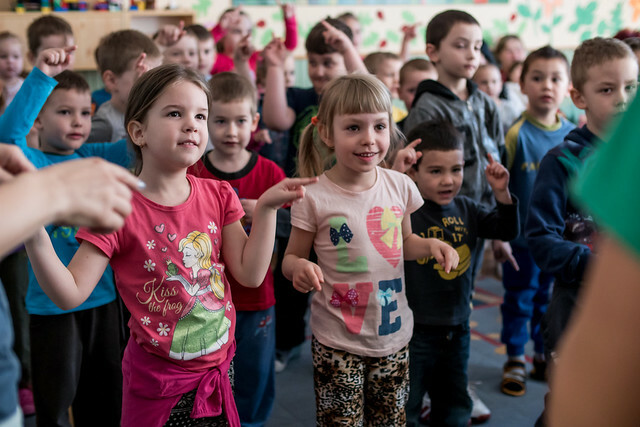 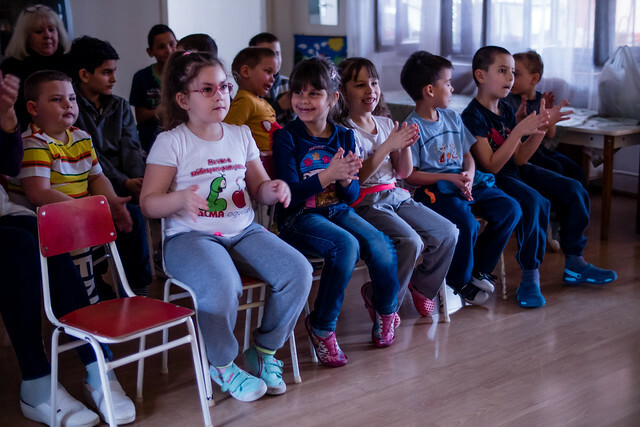 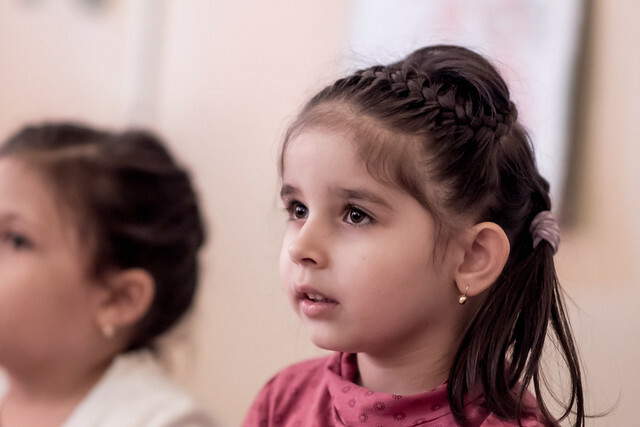 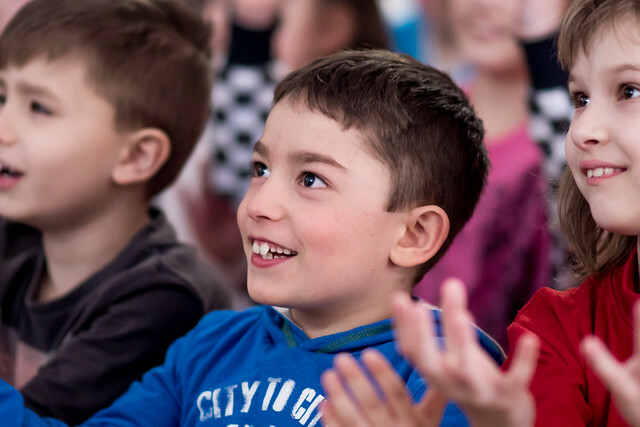 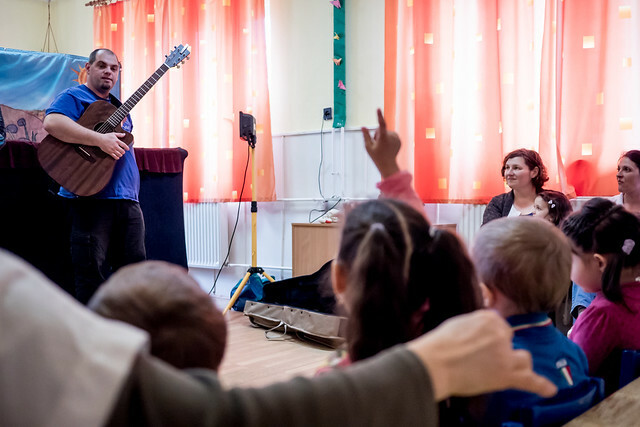 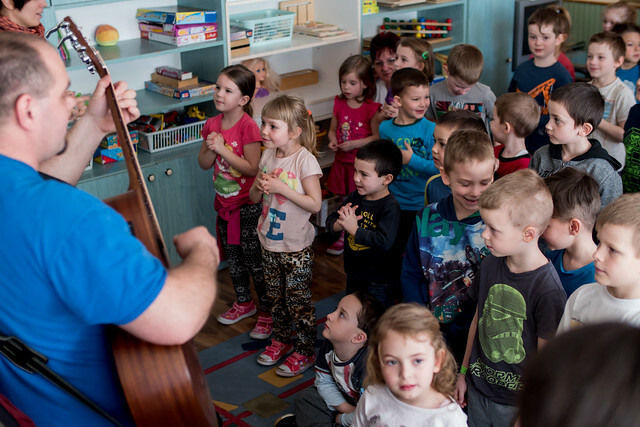 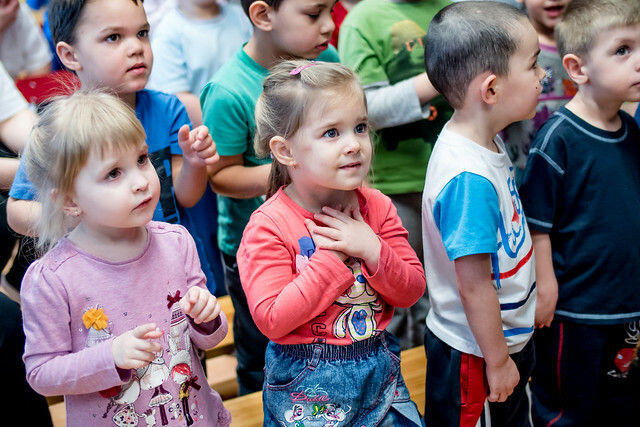 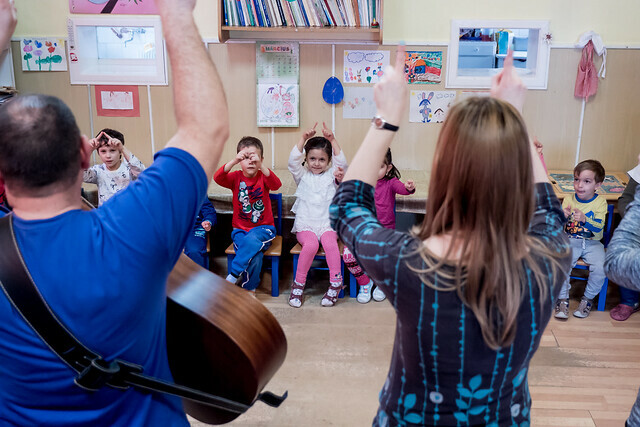 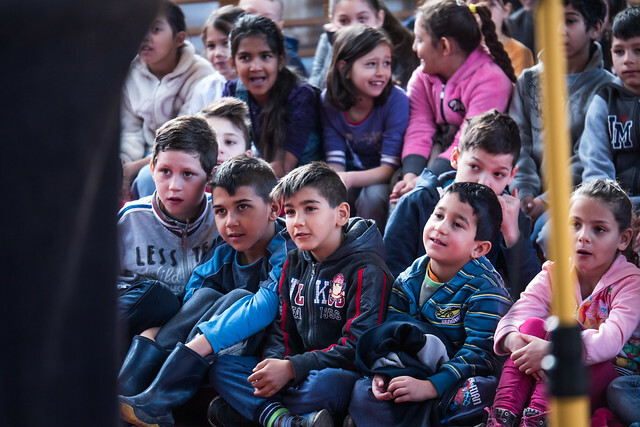 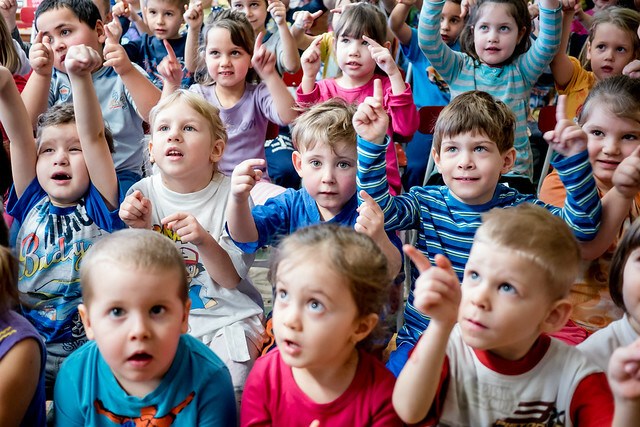 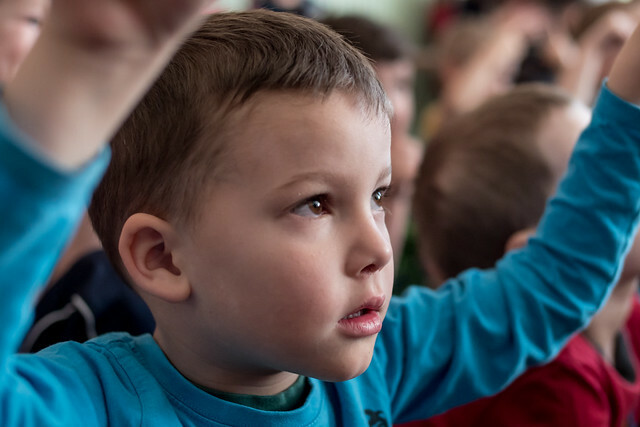 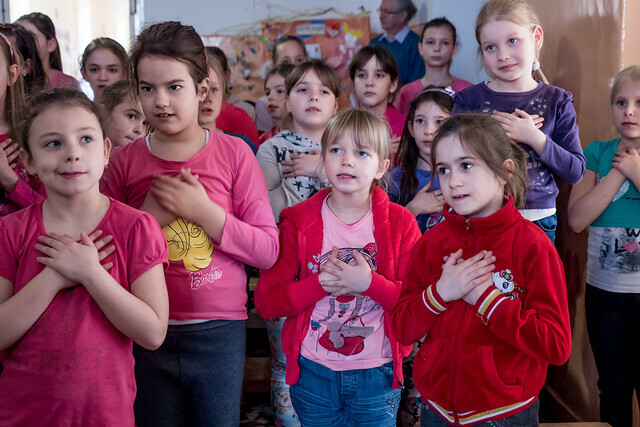 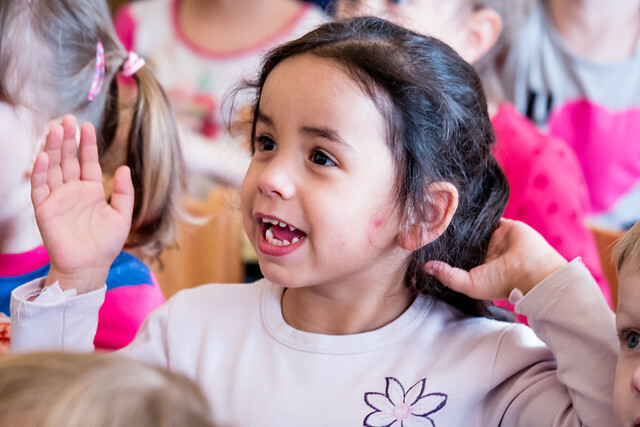 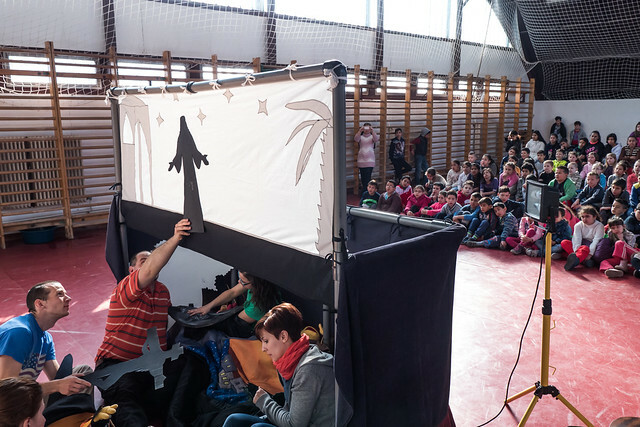 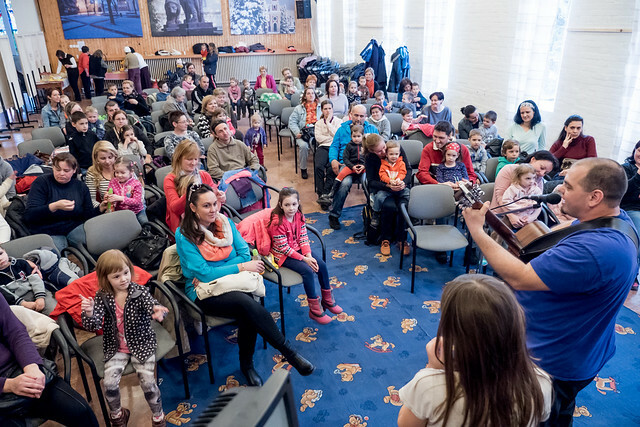 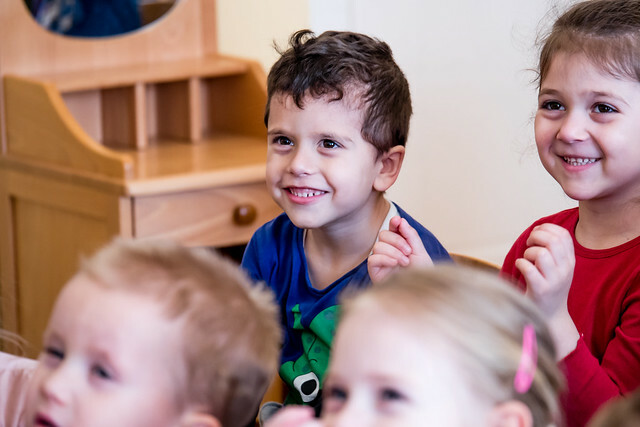 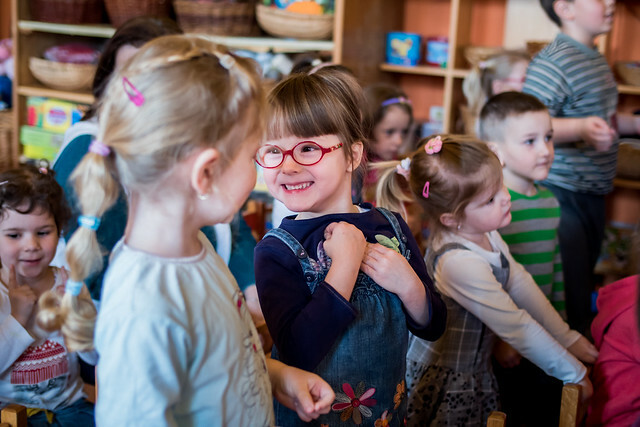 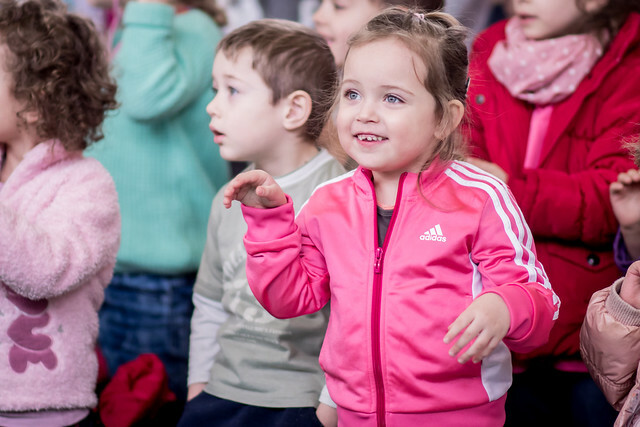 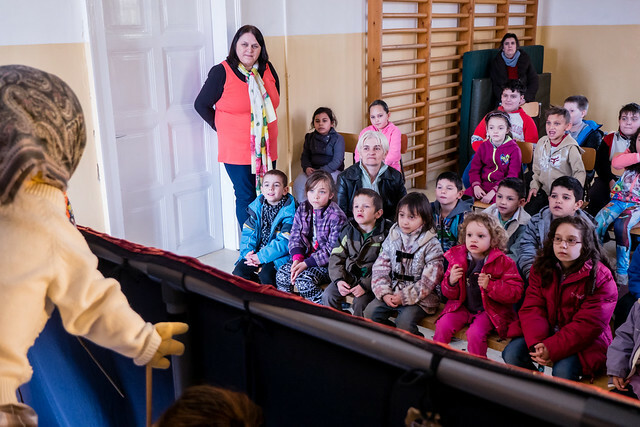 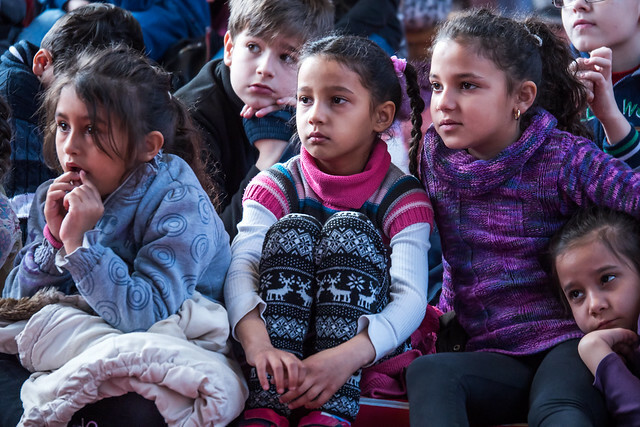 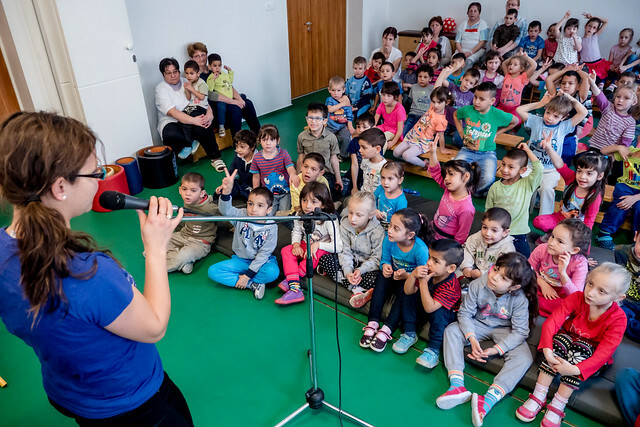 Above: As multiple preschool classes fill up the room, kids await for Friday’s show in Kálló with excitement. 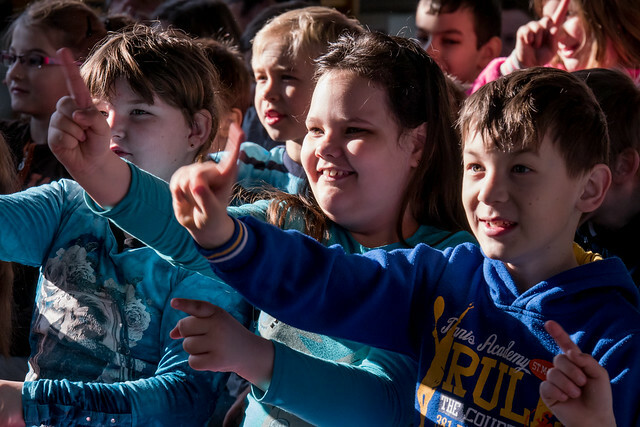 Since we visit these schools every year most of the kids already know us. 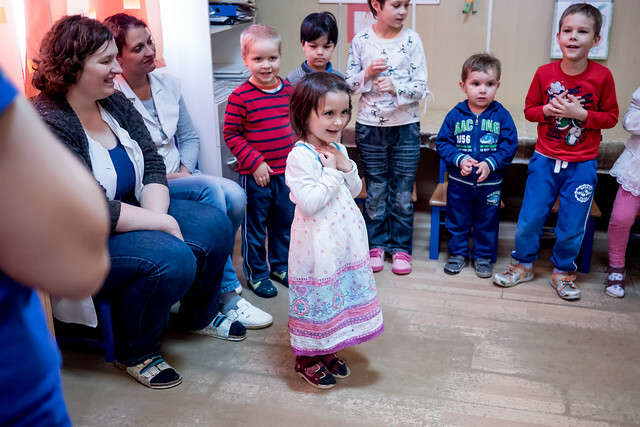 But we also get the joy of seeing a new batch of kids who are attending preschool for the first time. 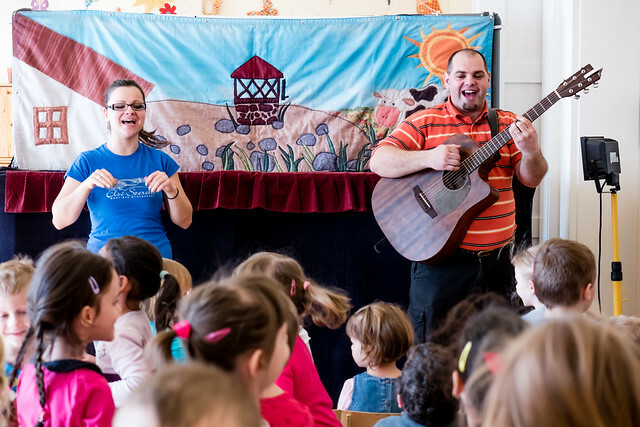 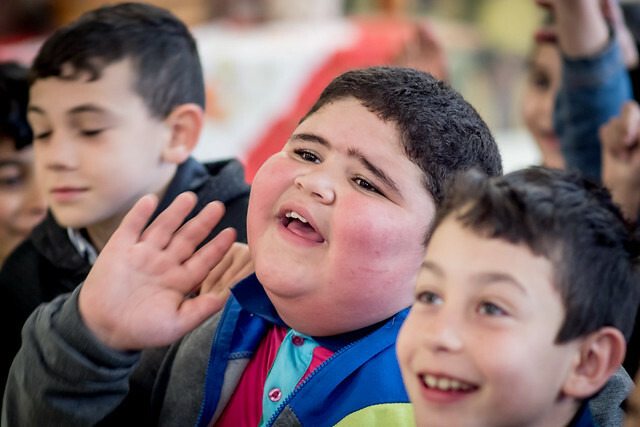 Sometimes these shows can be frightening to new kids because of a lack of familiarity, but so far we haven’t seen this happen as new kids are laughing and singing along with us. 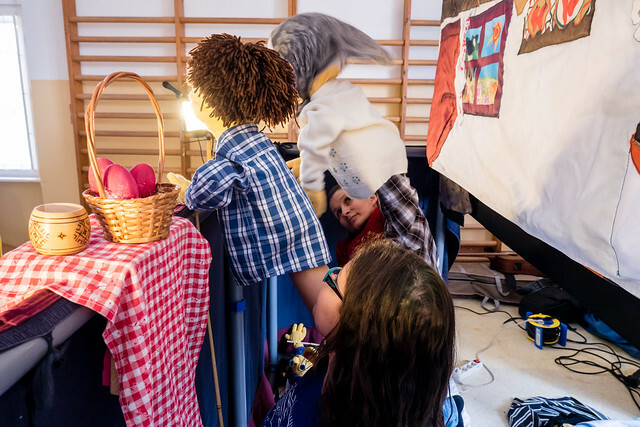 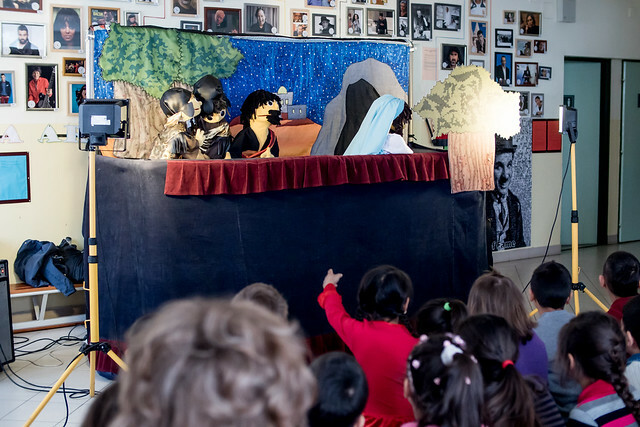 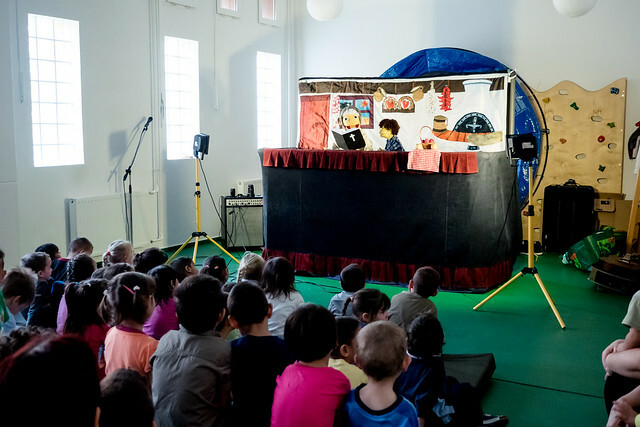 Praise God for the continued success of the puppet shows. 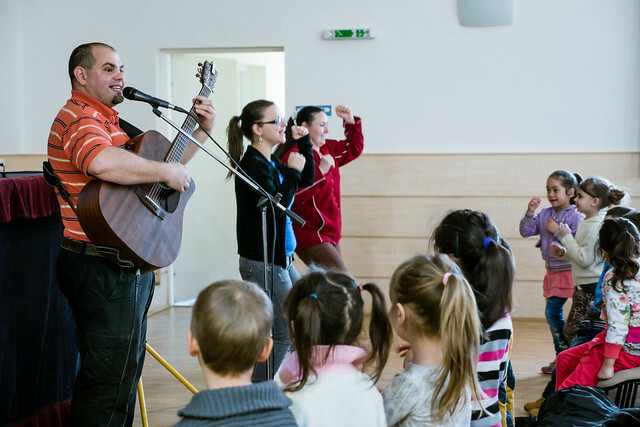 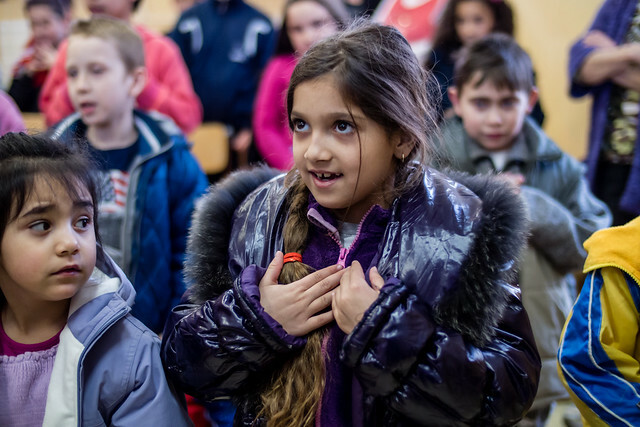 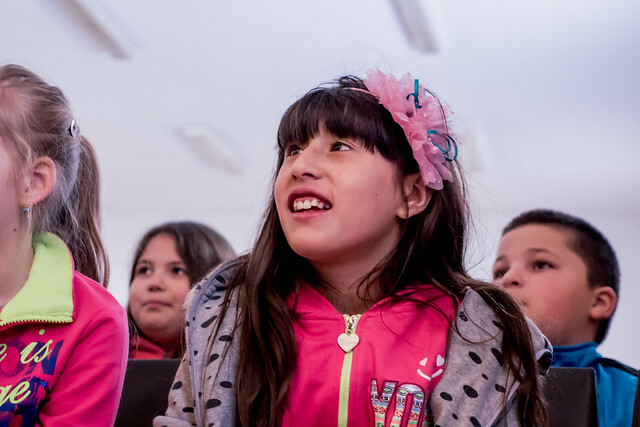 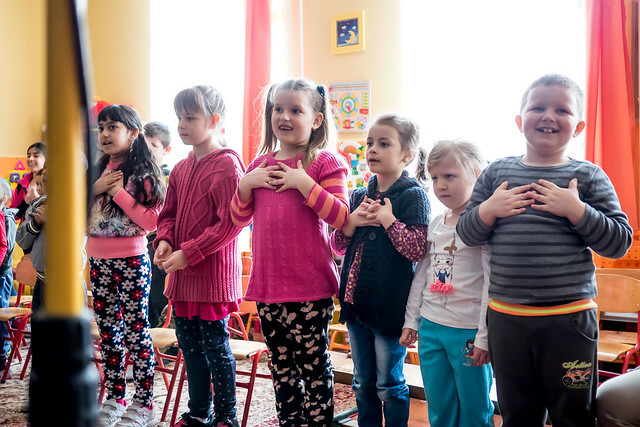 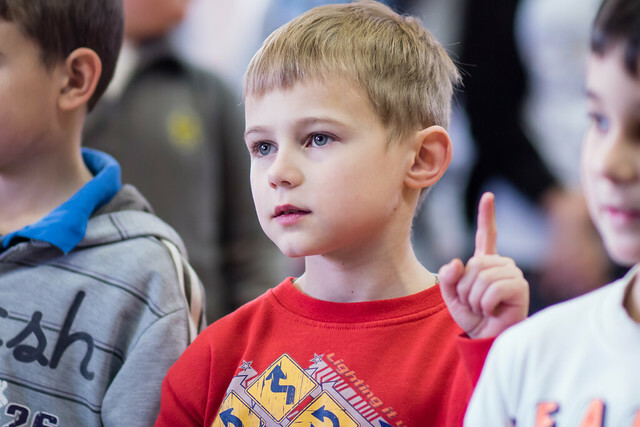 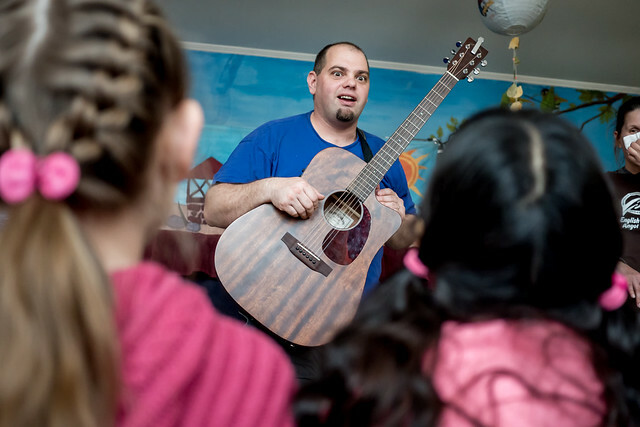 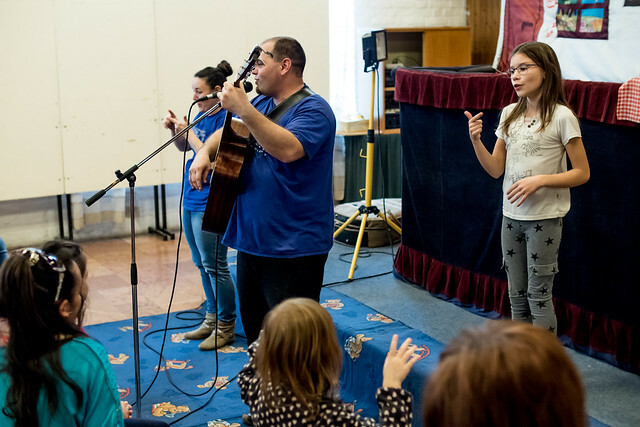 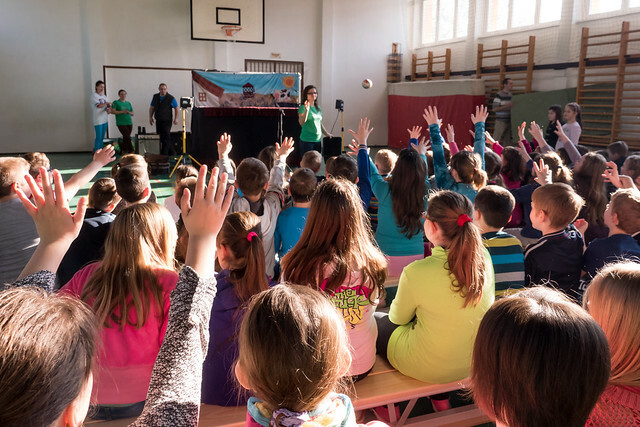 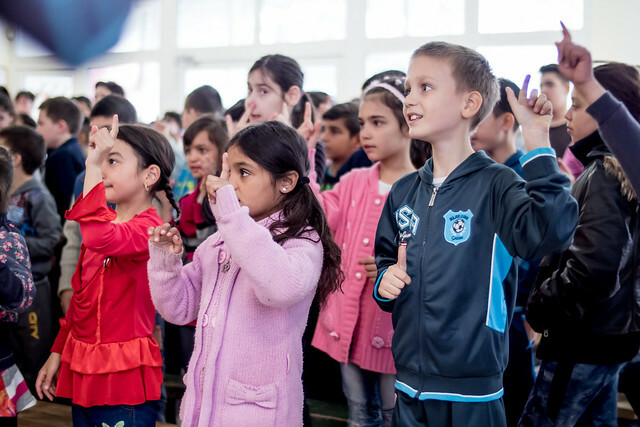 This is a great tool to communicate the great news of the Gospel to children and to sow seeds to a new generation of Hungarians that desperately need Jesus. 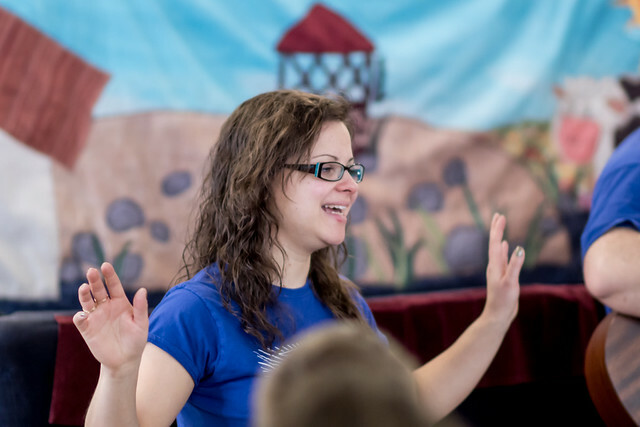 I’m thankful for the unity of the team and their hard work and joyous hearts. 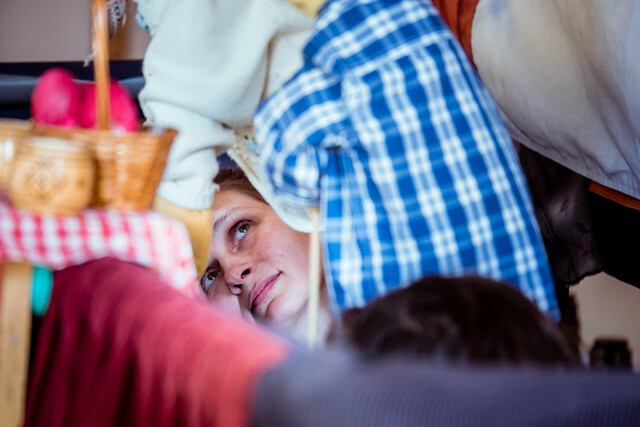 The weather has been great which is helpful with all the commuting and packing and unpacking from our trailer. 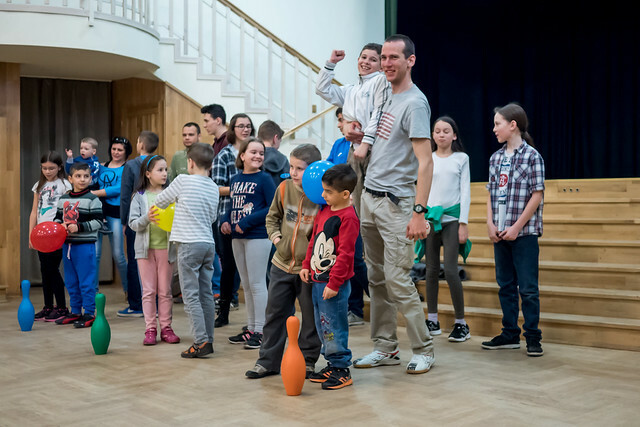 Because of Hungary’s national holiday celebrating March 15th, we have a few days off and will begin again on Wednesday with a more intense schedule. 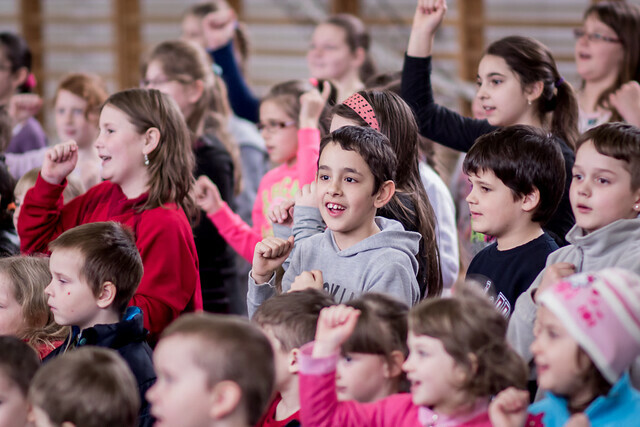 Many days will include three shows back to back and we will need strength. 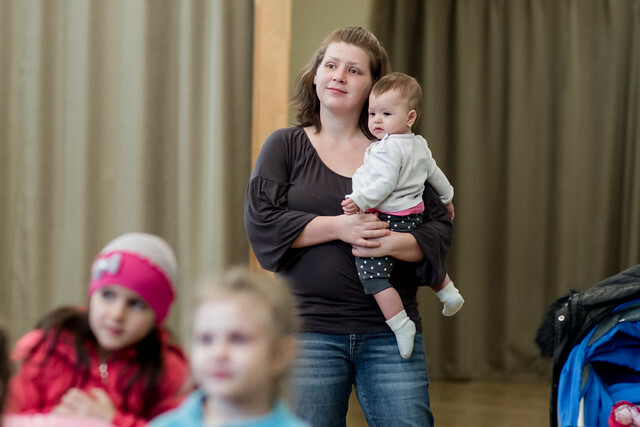 Please pray for team members and their families to fully recover from various attacks of sickness so that we can serve with healthy bodies. 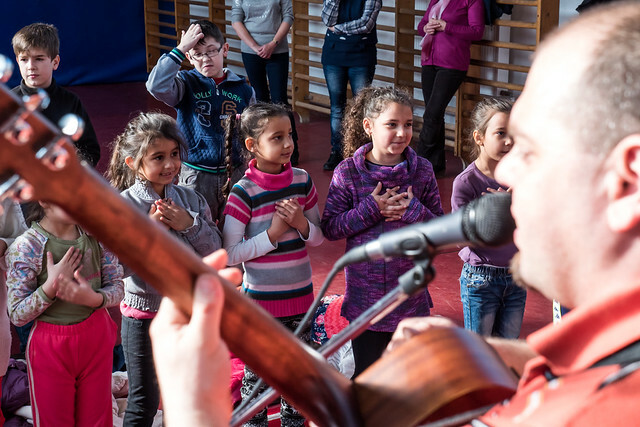 Thanks for your continued partnership in prayer! 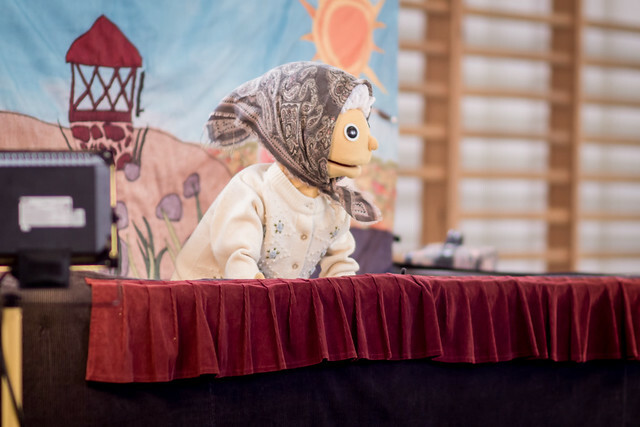 Above: Yesterday we traveled to the neighboring village of Apc. 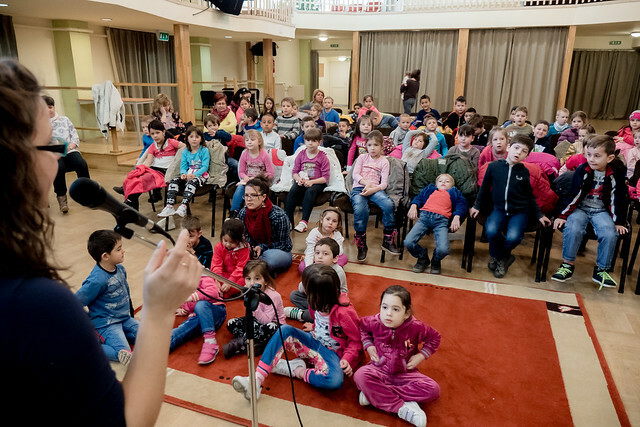 We’ve been reaching out to this village for years and continue to hold a weekly Bible study in a Romani family’s home. 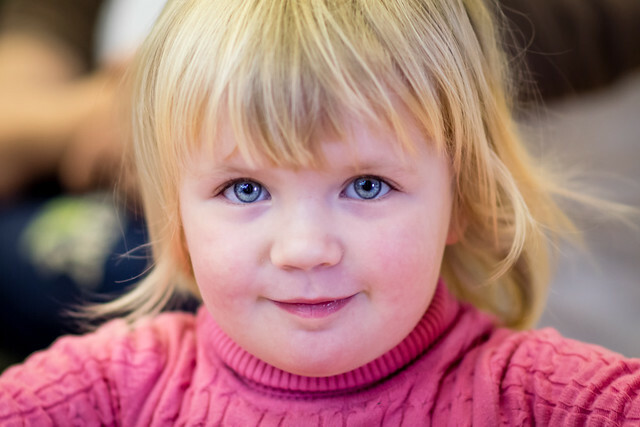 Jennifer, (photo above) is the daughter of one of the mothers who was saved in Apc. 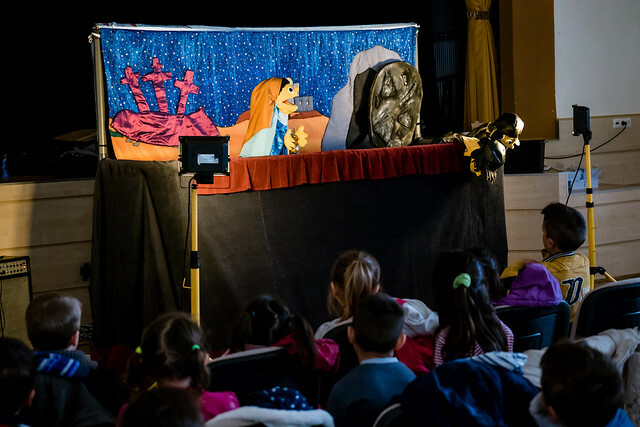 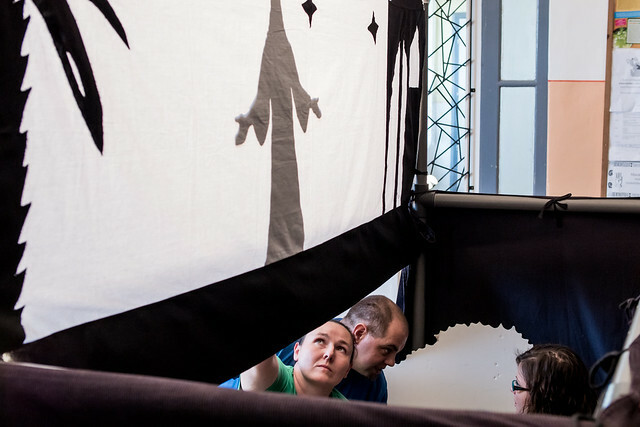 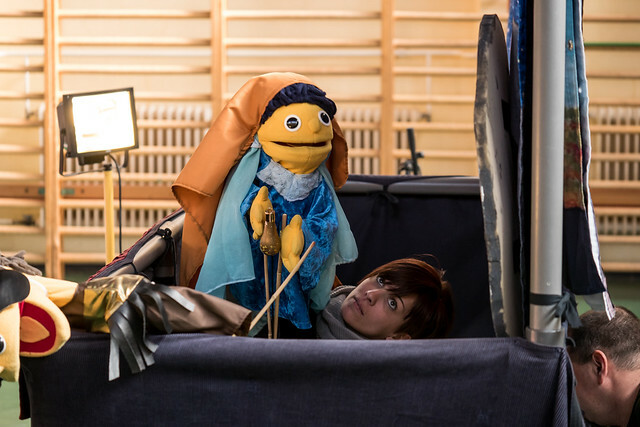 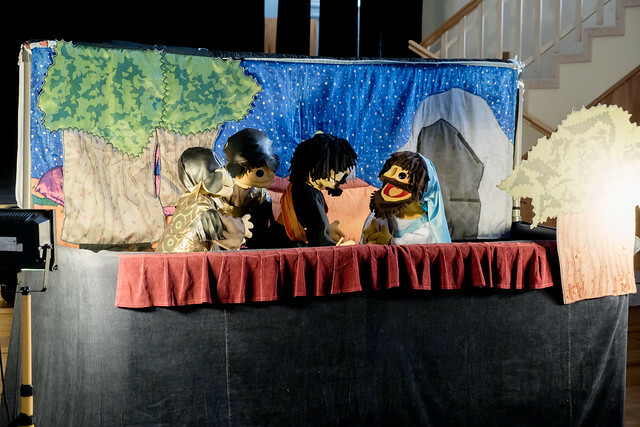 Above: After the show, Eszti helps the kids recall the part of the puppet show that highlighted the death and resurrection of Jesus Christ. 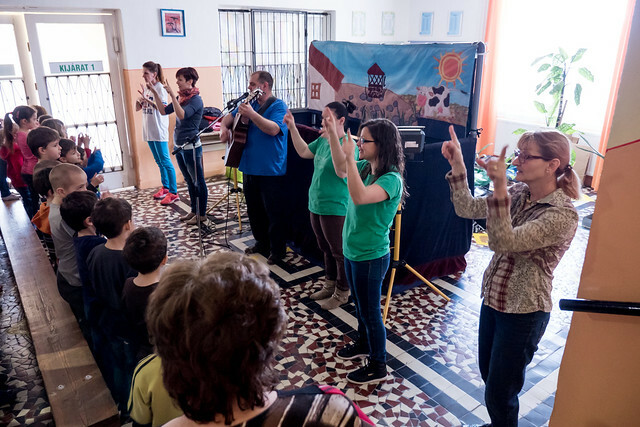 Above: This morning our first stop was the town of Jászfényszaru where we are seeking to churchplant. 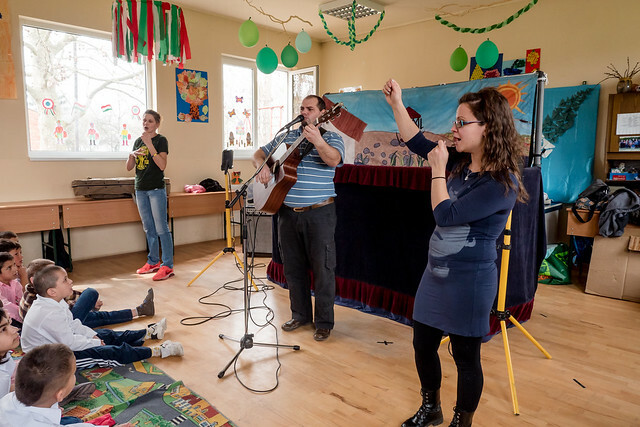 This is the community center where we also hold weekly English Club and a bi-weekly public worship service. 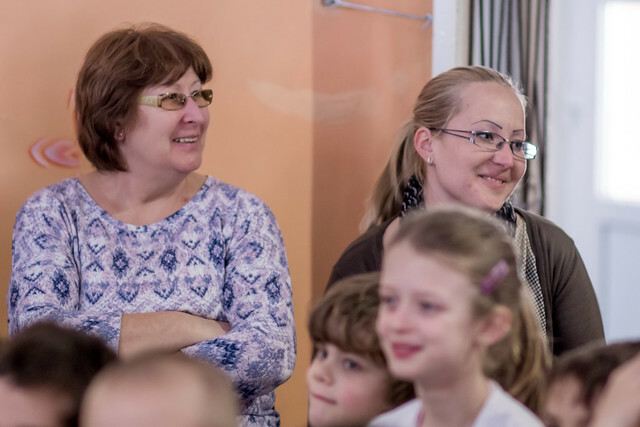 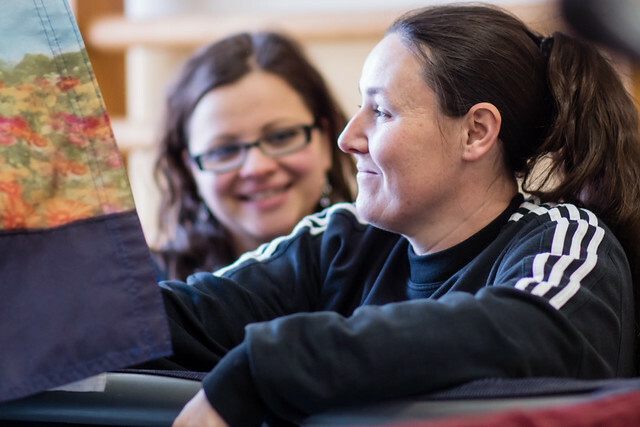 God continues to give us opportunity to develop connections in the community and we have a great relationship with the head of the community center who often attends our Bible study in English Club. 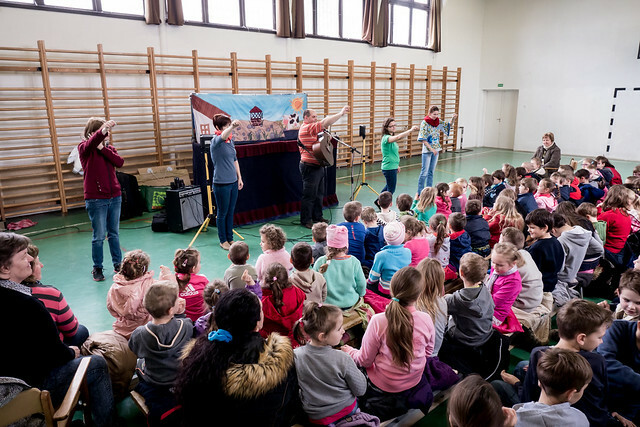 Above: There were multiple preschools that attended in Jászfényszaru. 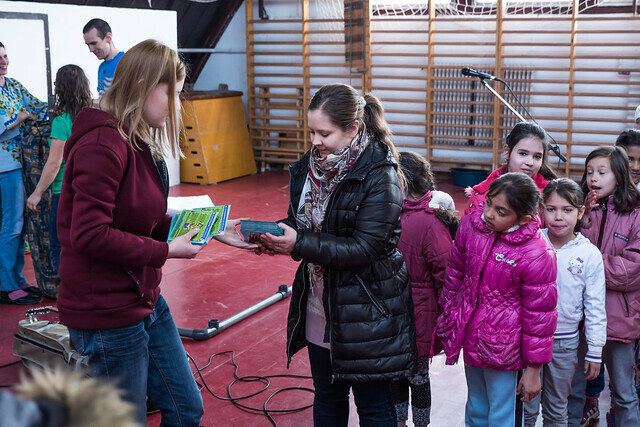 We were also able to give evangelistic gift packets to the other visitors who attended. 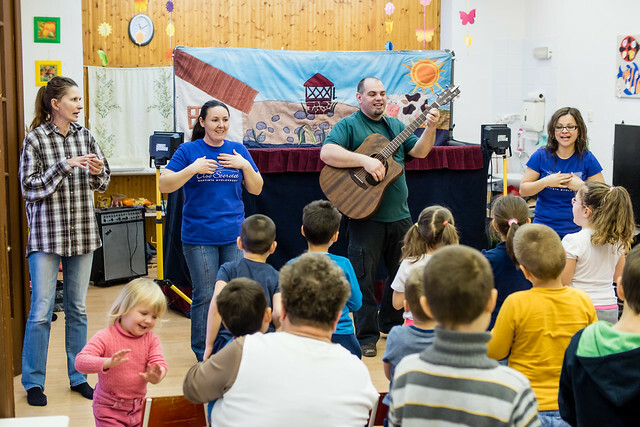 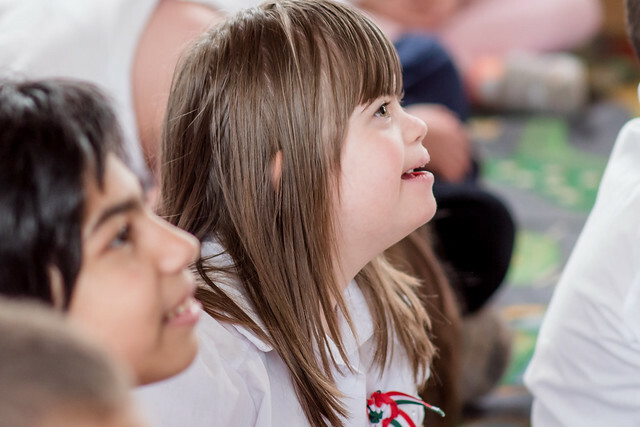 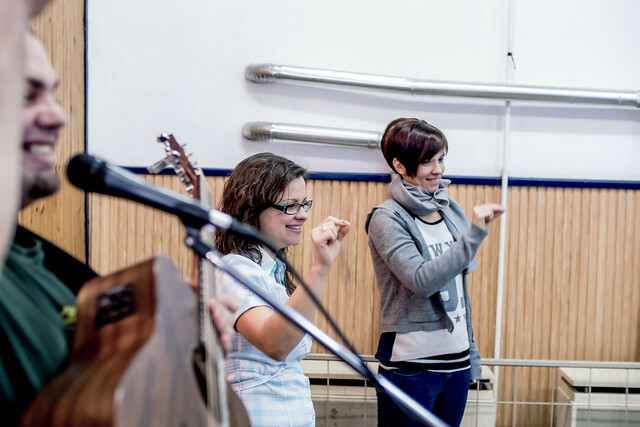 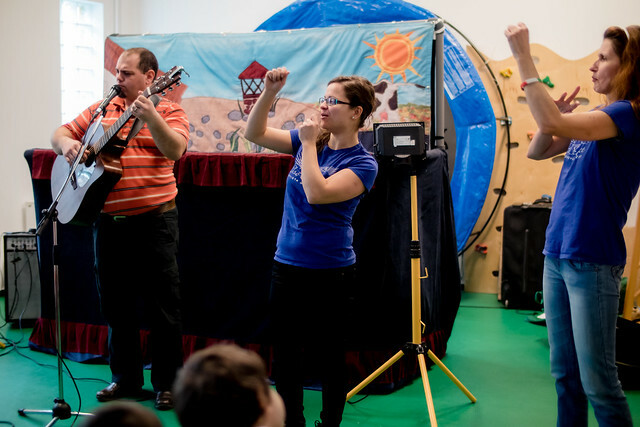 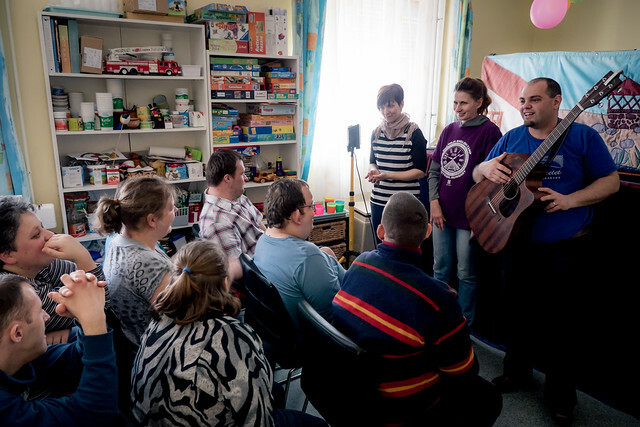 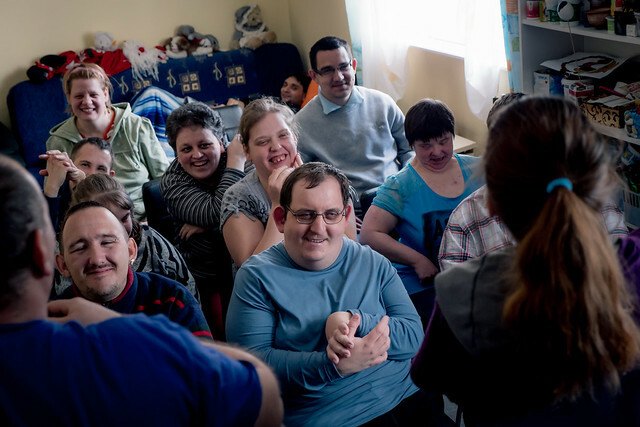 Above: Our last show for this morning was in a special needs school in Jászberény. 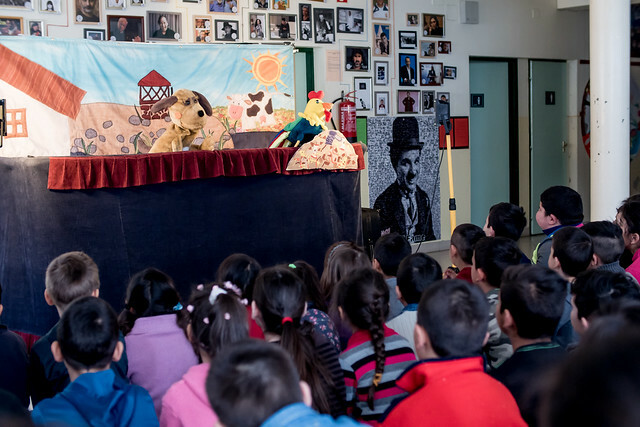 The kids had a great time singing along and enjoyed the show. 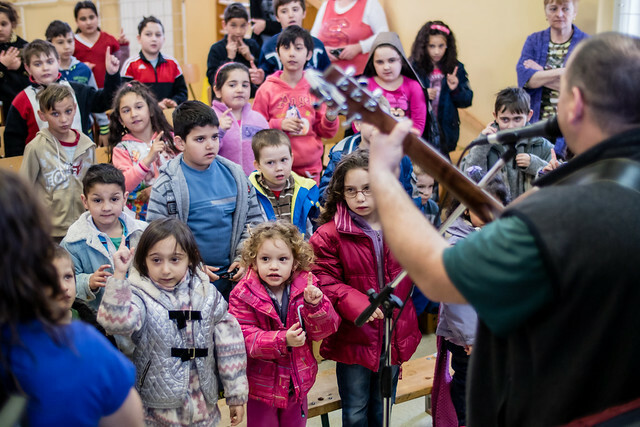 Thank you for continuing to pray for this Easter outreach! 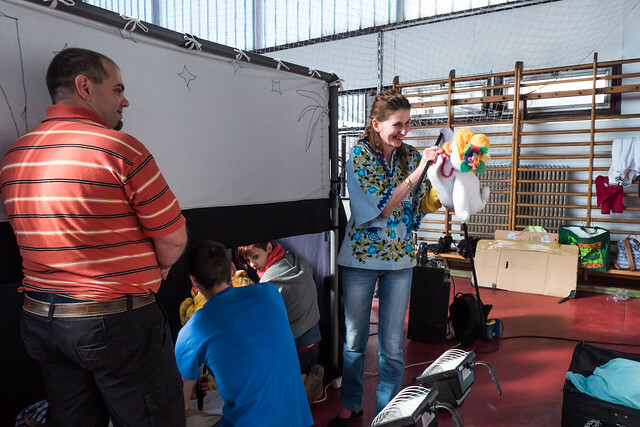 All the equipment has been working well and God has blessed us with strength. 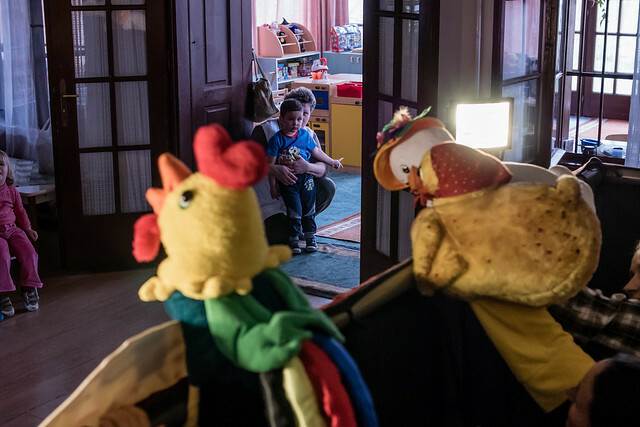 As I’ve mentioned this show is full of various transitions and has proven to be difficult at times. 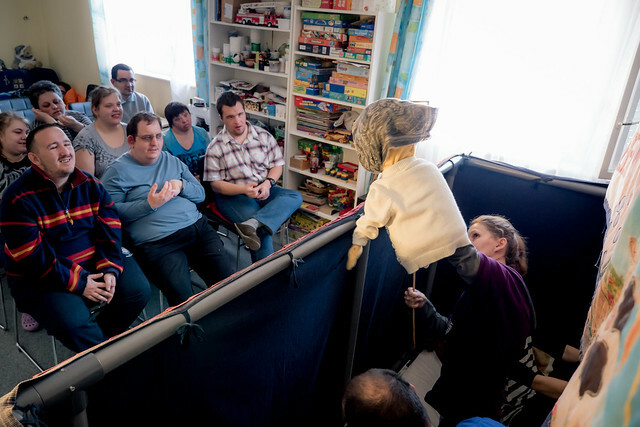 Please pray for the puppeteers to be equipped to remember the many details. 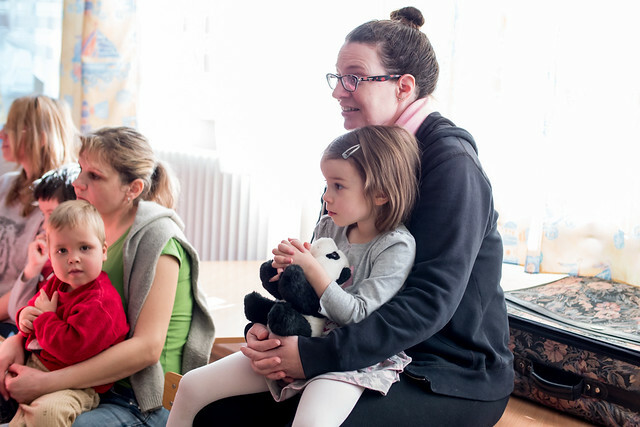 Please pray for Eszti and Miki (battling sore throat, cold) and for team members’ children (Ziva fever, Naomi cold). 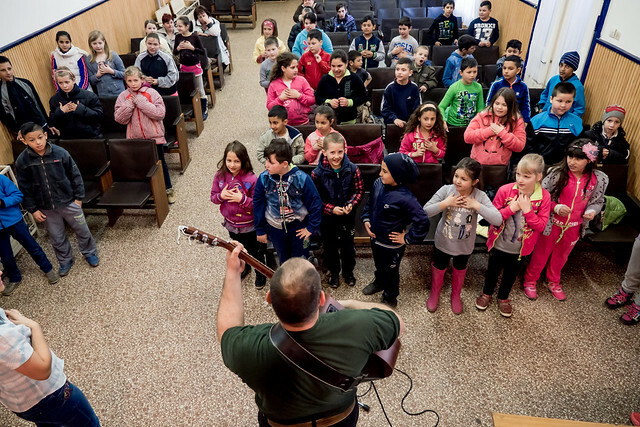 Pray that we would gain the rest we need and continue to have success in proclaiming the Gospel. 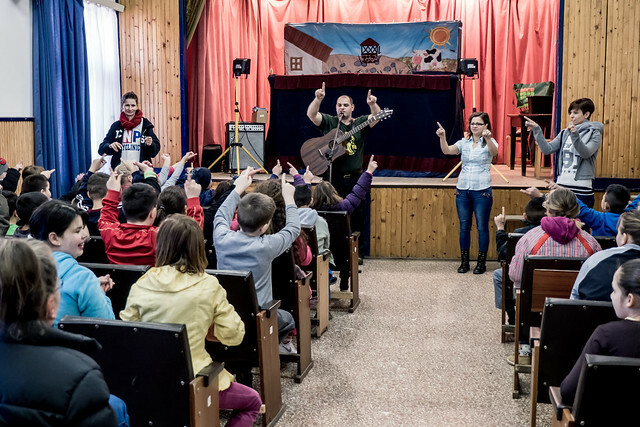 Above: A great first group of kids in the town of Lorinci just a few minutes away from our hometown of Petofibanya. 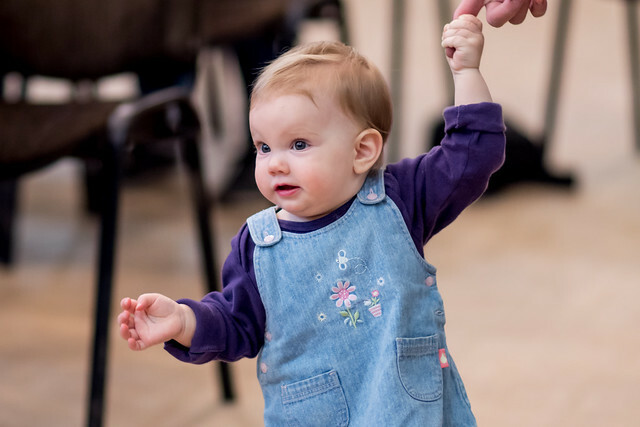 This was a younger group, and it was good to see even the youngest having an enjoyable time. 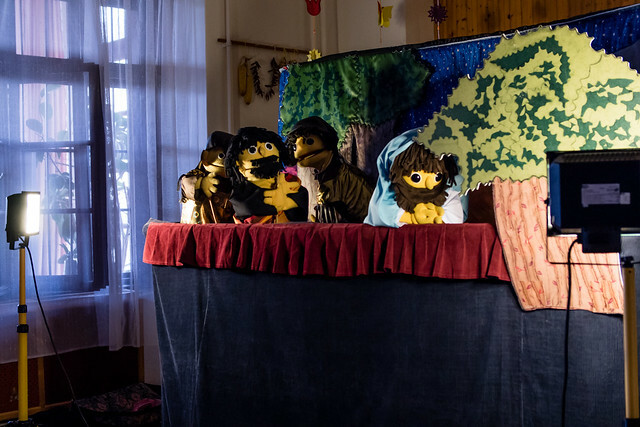 Above: The puppet show does a good job telling the story of Jesus’ death and resurrection. 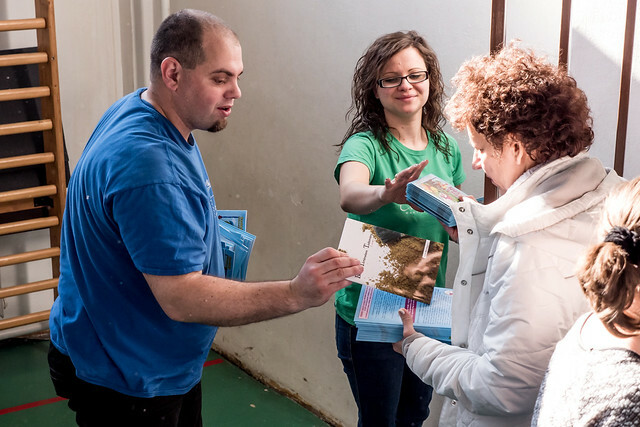 Above: Distributing evangelistic CDs and magazines to the kids after the show. 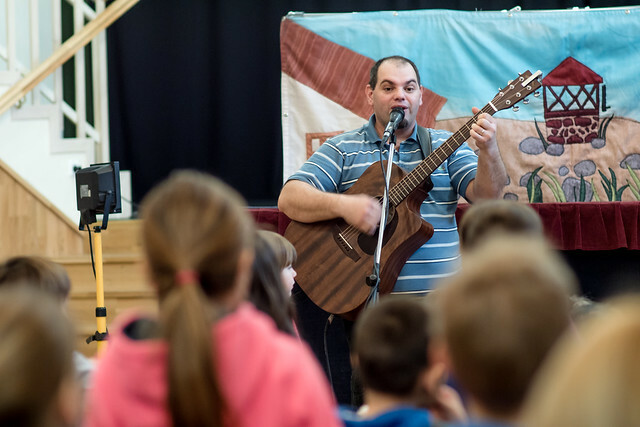 Praise God for a great first show on Monday! 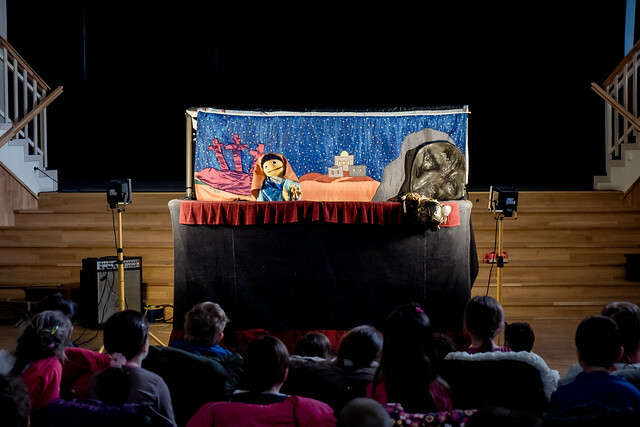 With the number of transitions and puppets in this particular show, it has been a challenge for our team to get everything running smoothly. 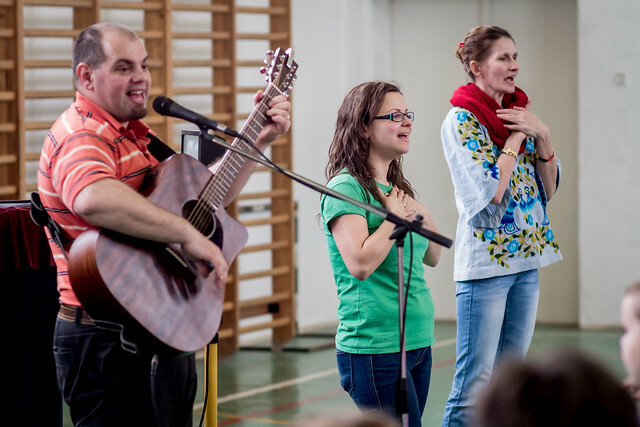 Praise God each of us remembered our parts and responsibilities and we had success. 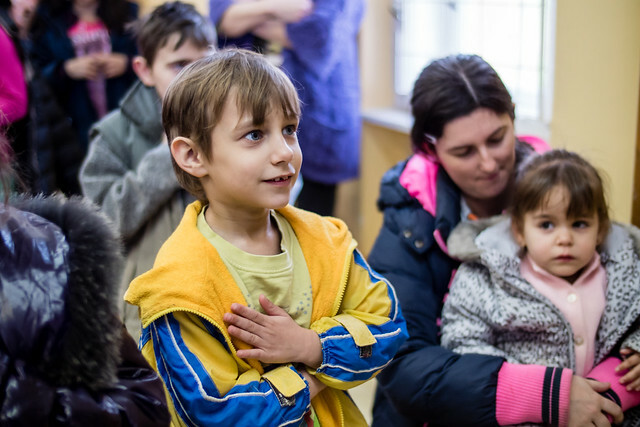 After many from our team and teammember’s children had been battling sickness over the past week, we praise God for bringing healing. 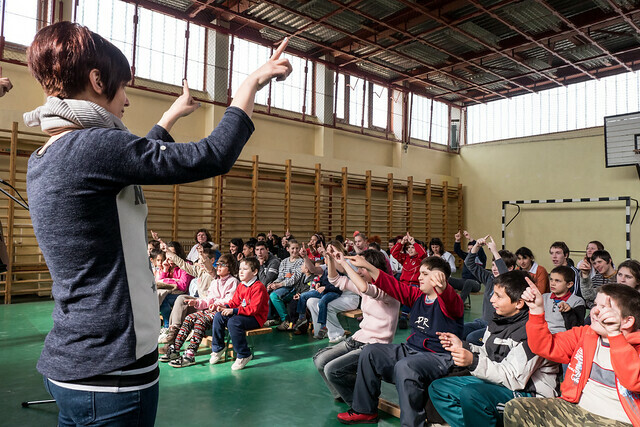 Please continue to pray for Miki (cold) and Eszti (sore throat). 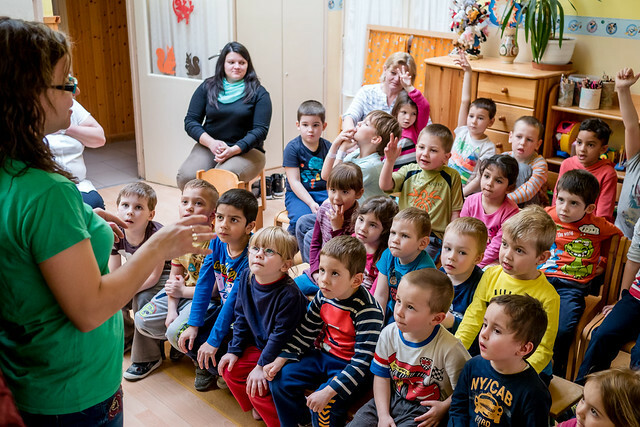 Please also pray for protection for our children in this season of ministry.